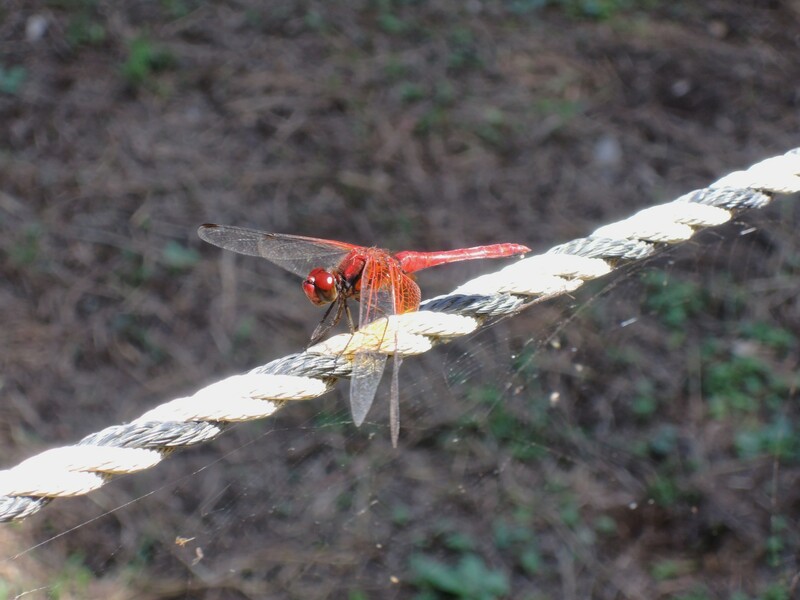 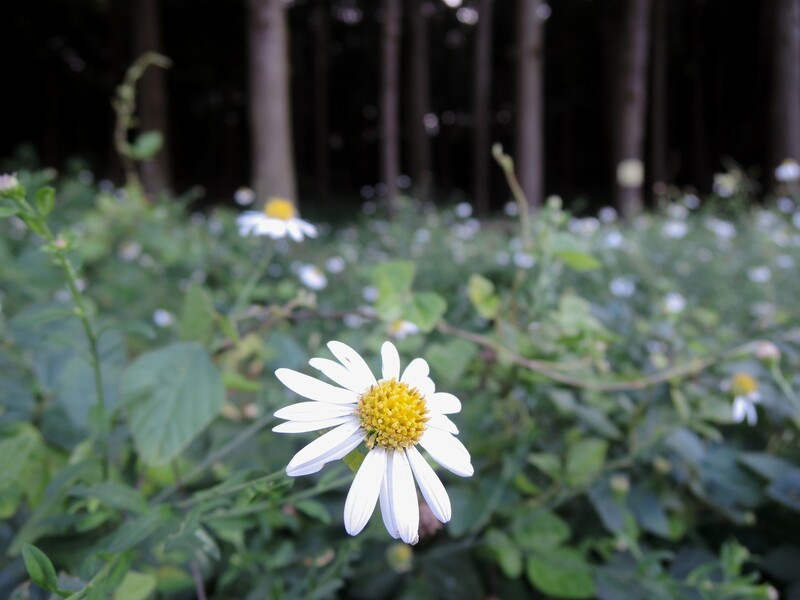 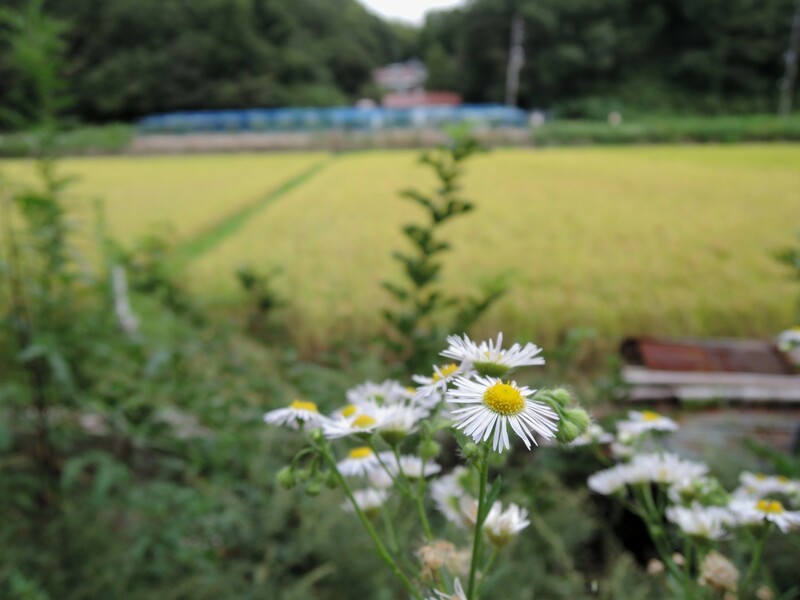 ﻿I visited the Jike countryside on December 3, 2014 and took those photos. 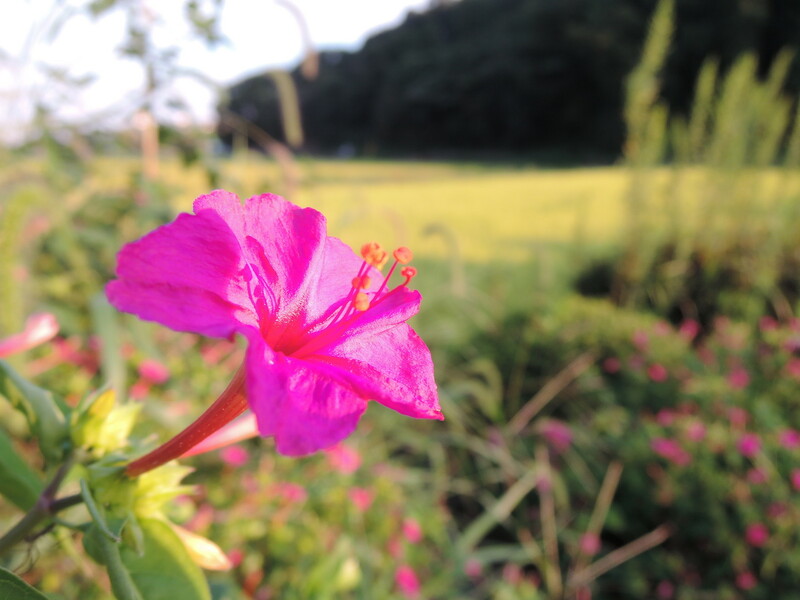 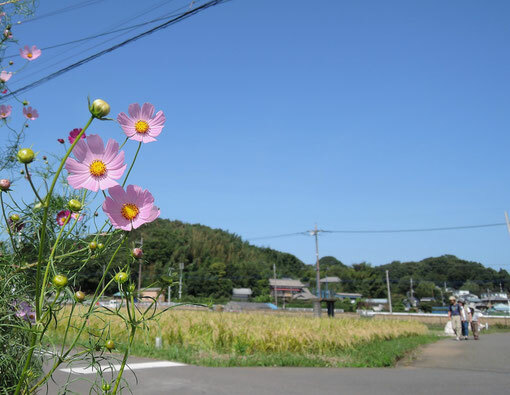 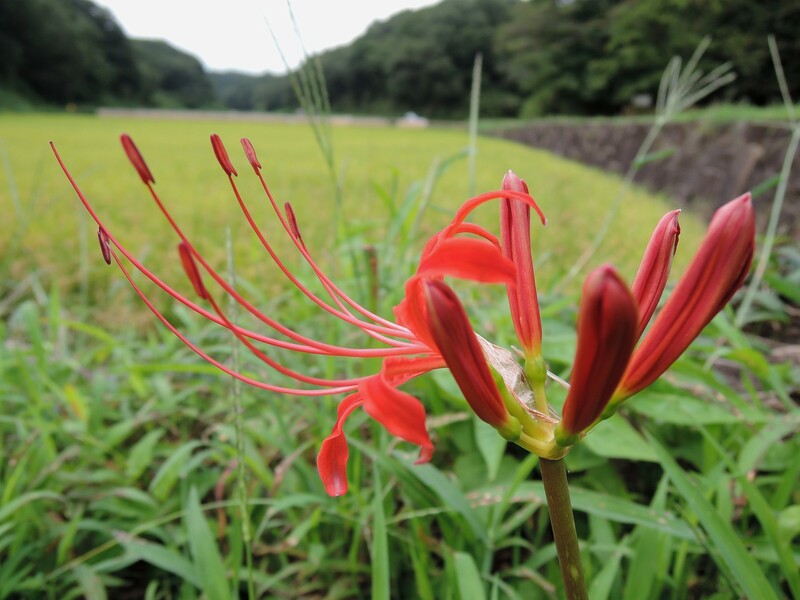 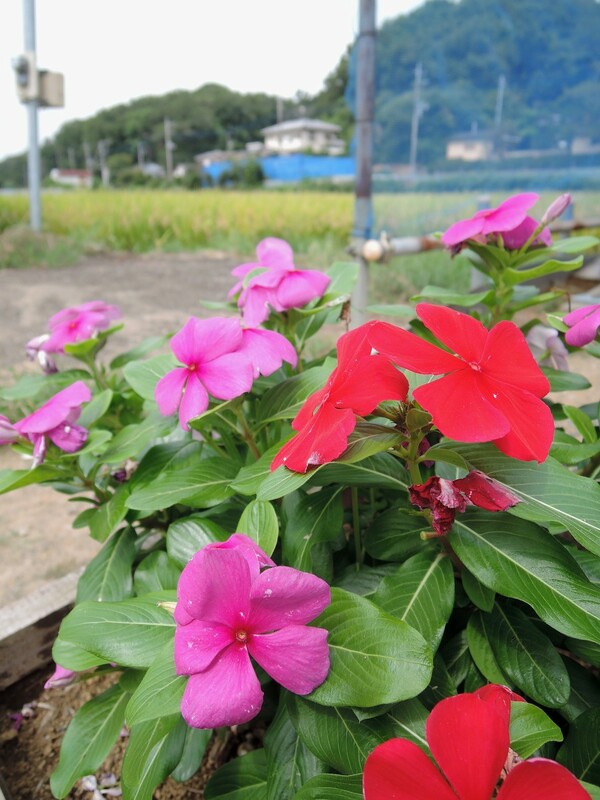 It was a pleasant Sunday morning, September 28, 2014, in the Jike countryside, northern Yokohama. 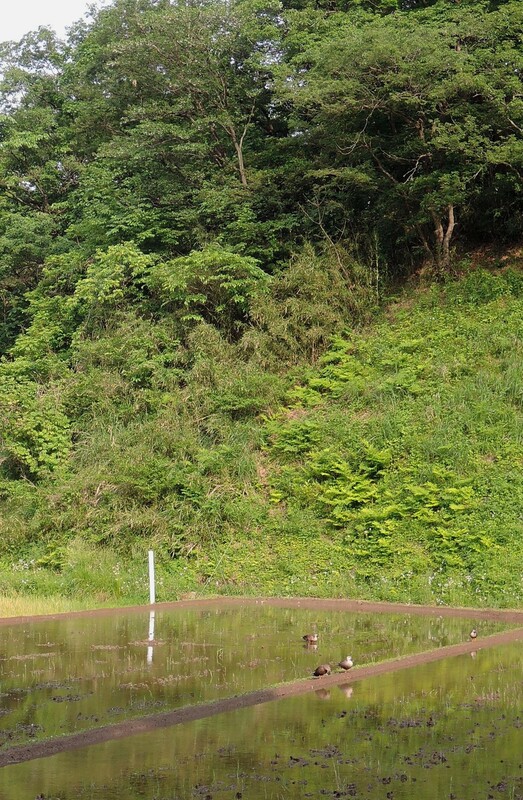 Are you going to help your dad? 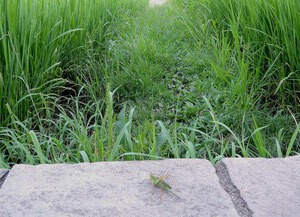 Why don't you come over here? 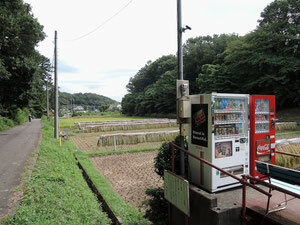 This is the Jike information center, let's go inside! 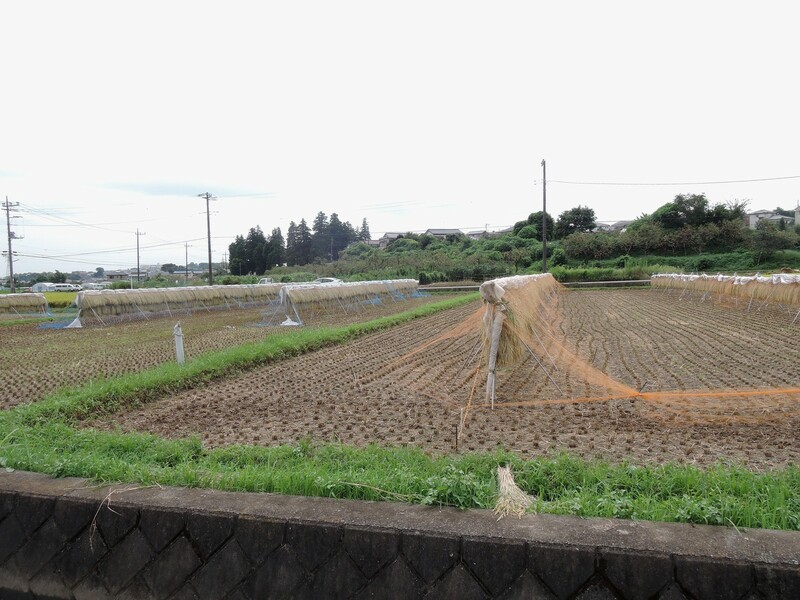 On a cloudy Wednesday morning, Setember 17, 2014, I visited the Jike countryside again. 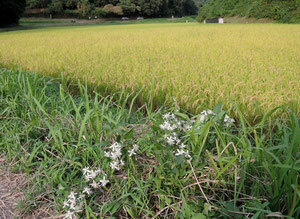 It was time for the rice harvest. 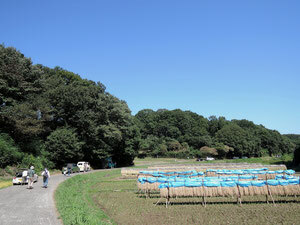 A handheld binder was used to cut and bind rice stems, which would be placed on a simple drying structure (as shown in this photo) in preparation for threshing. 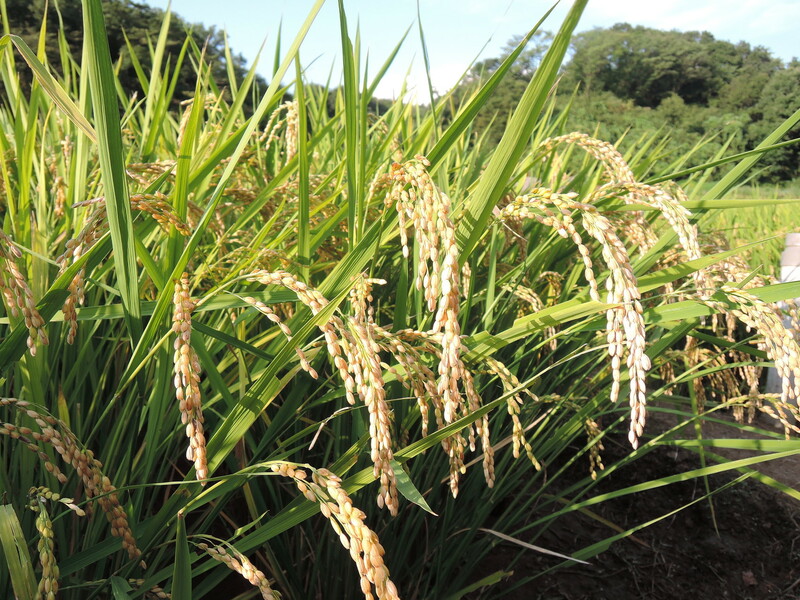 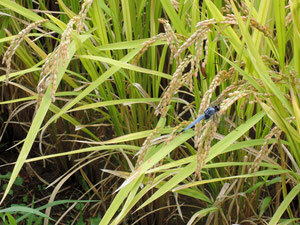 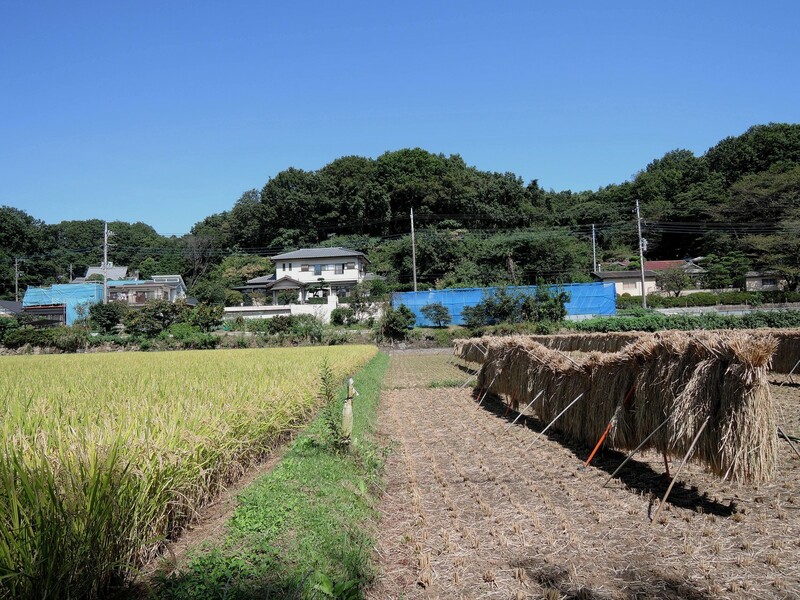 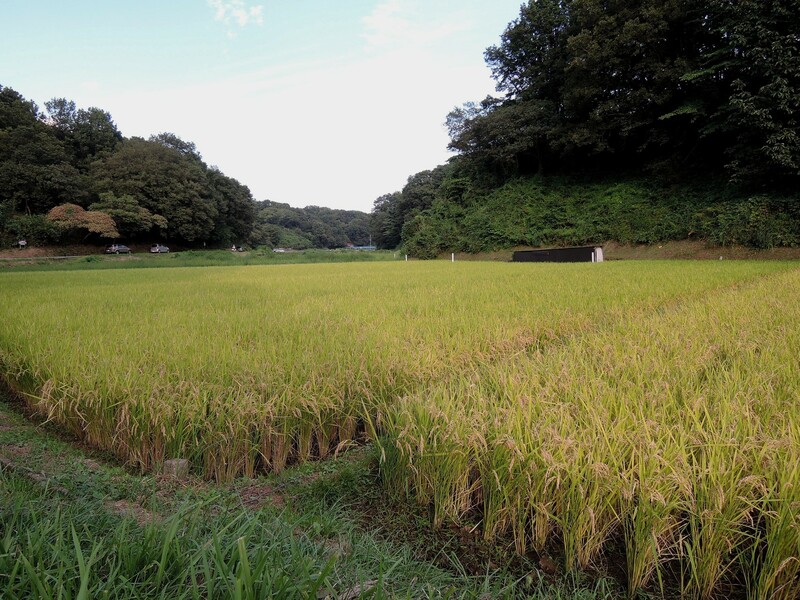 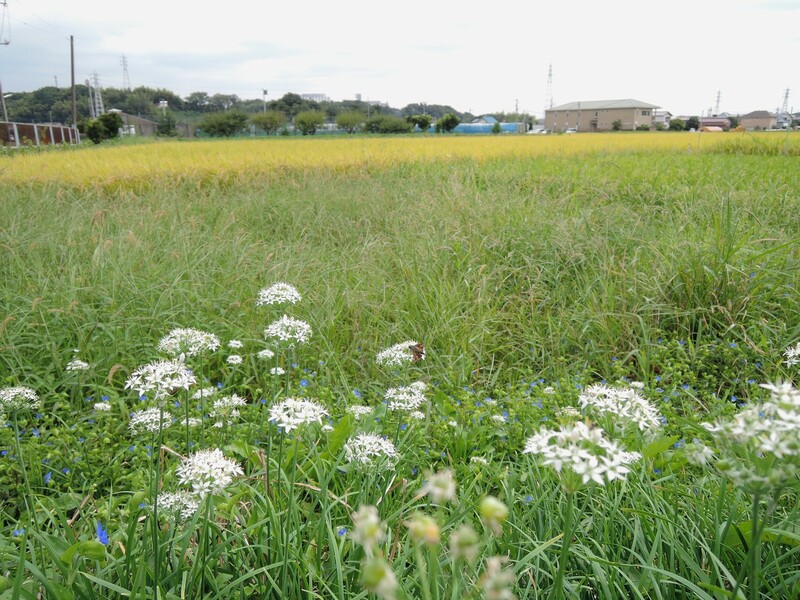 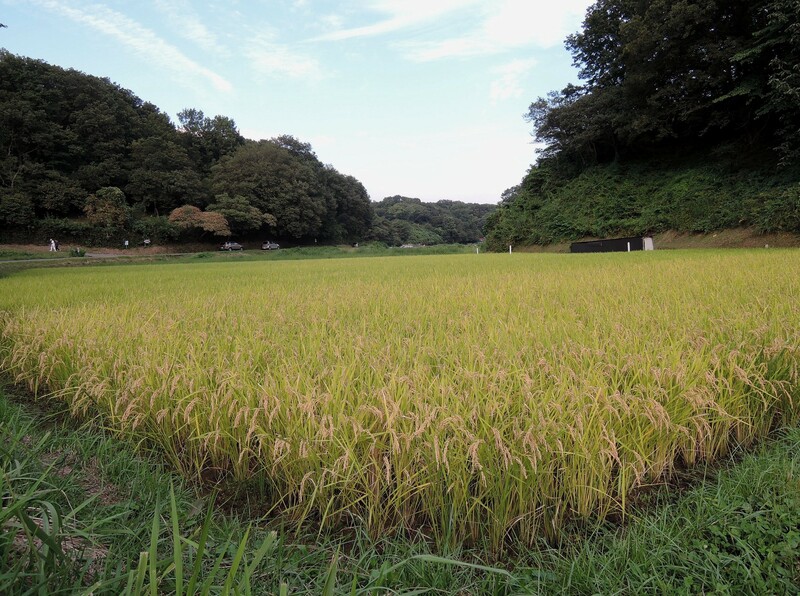 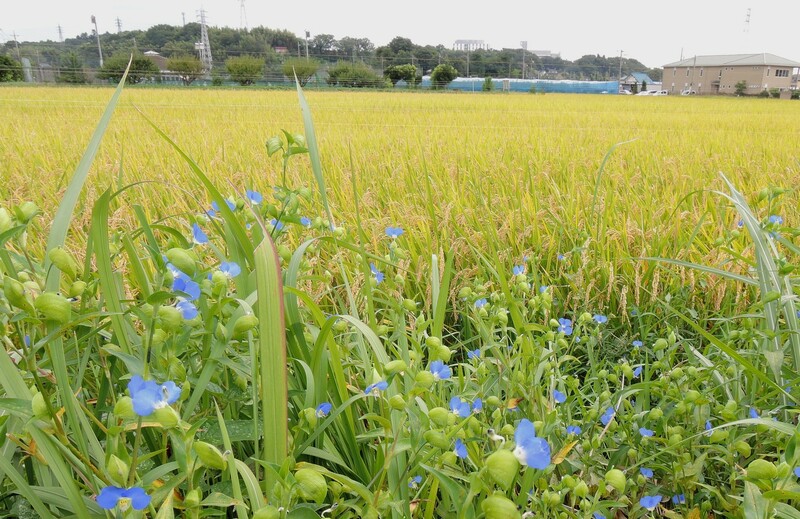 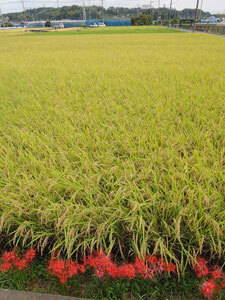 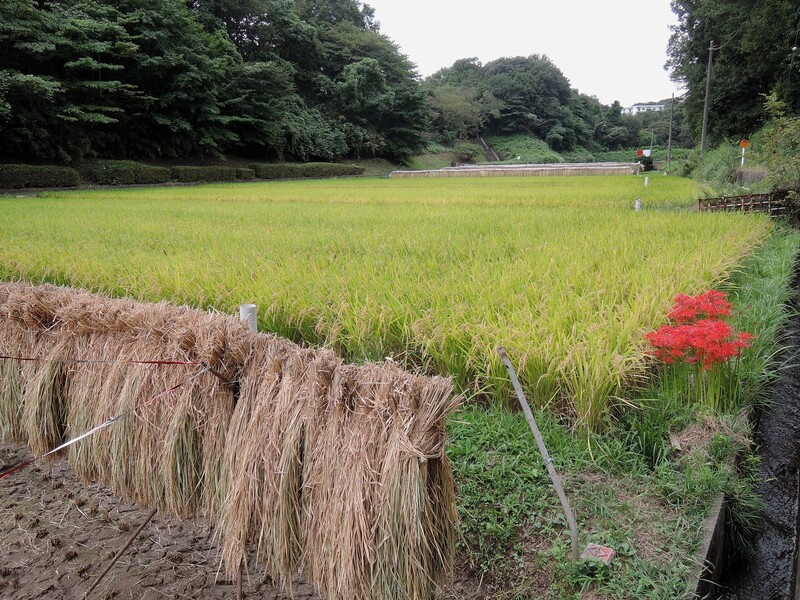 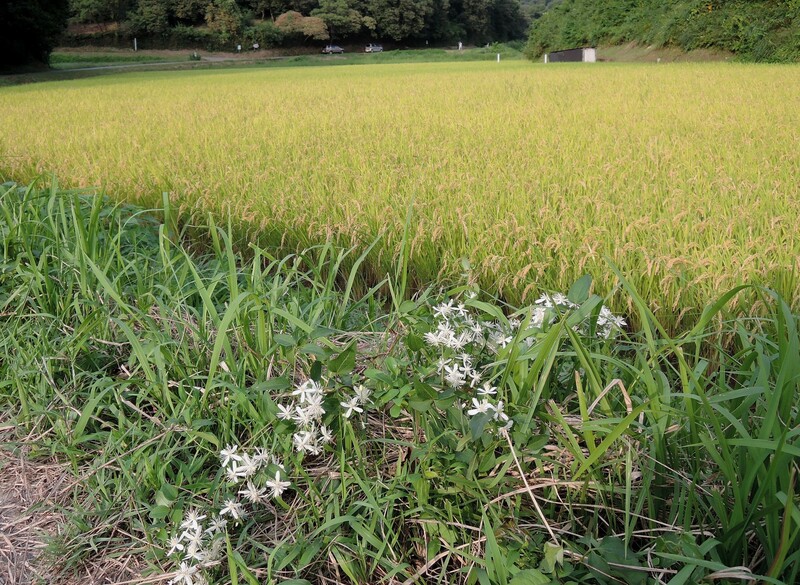 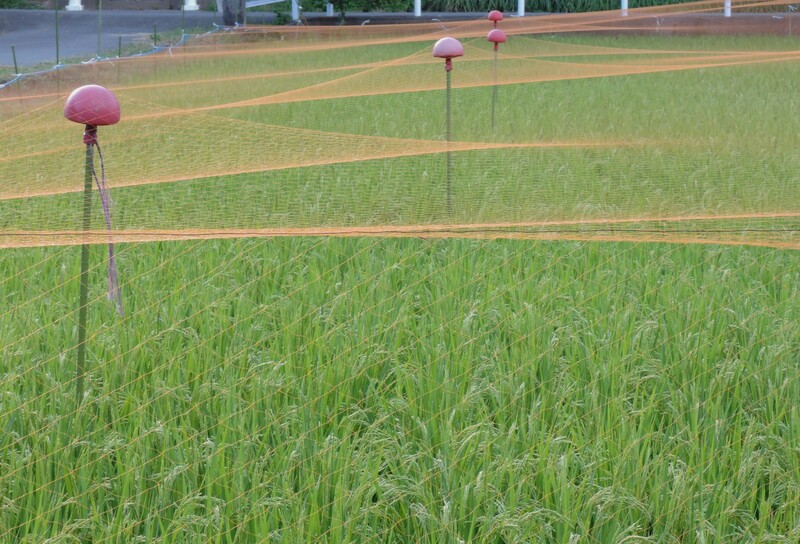 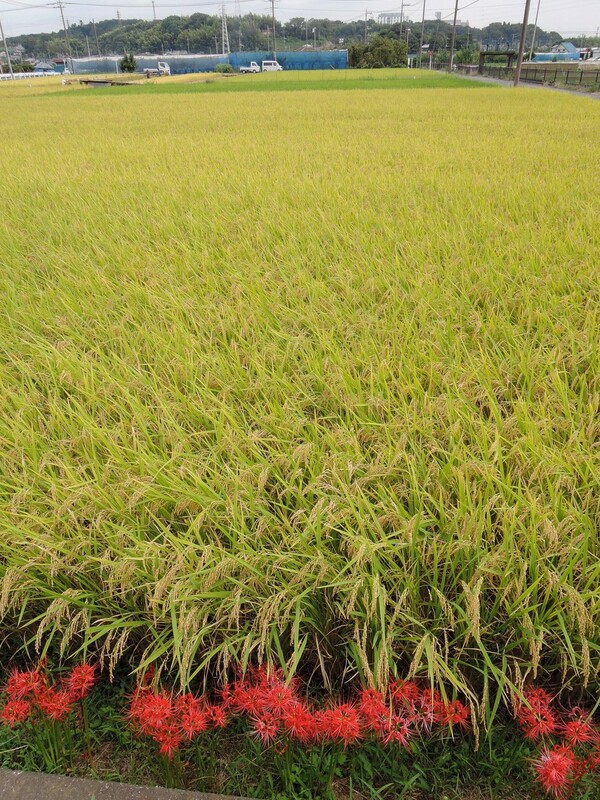 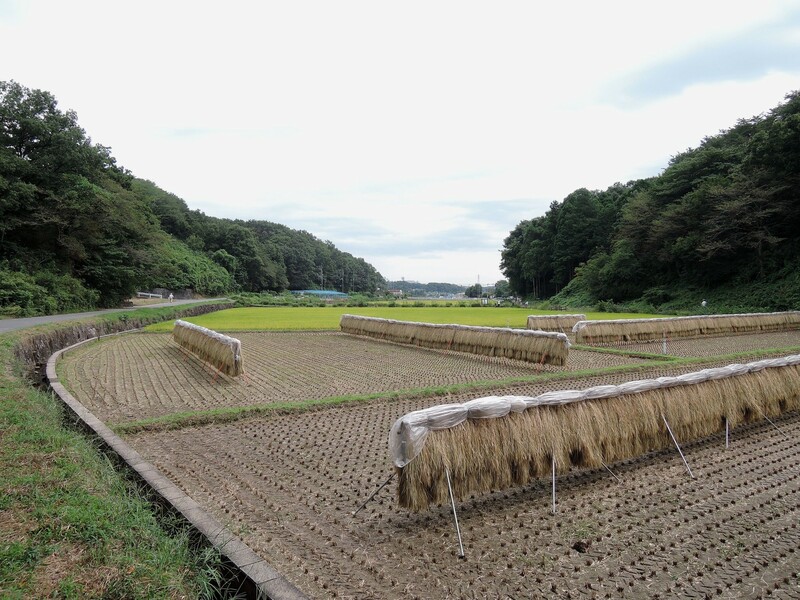 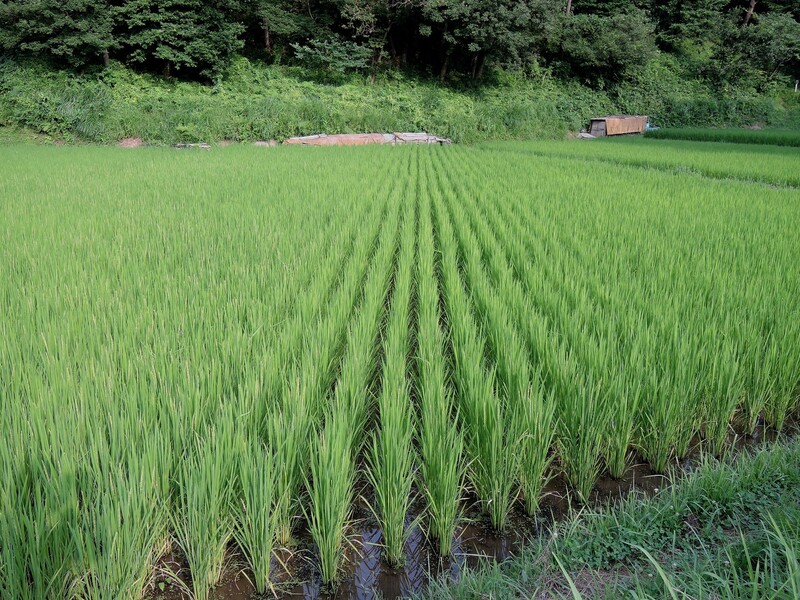 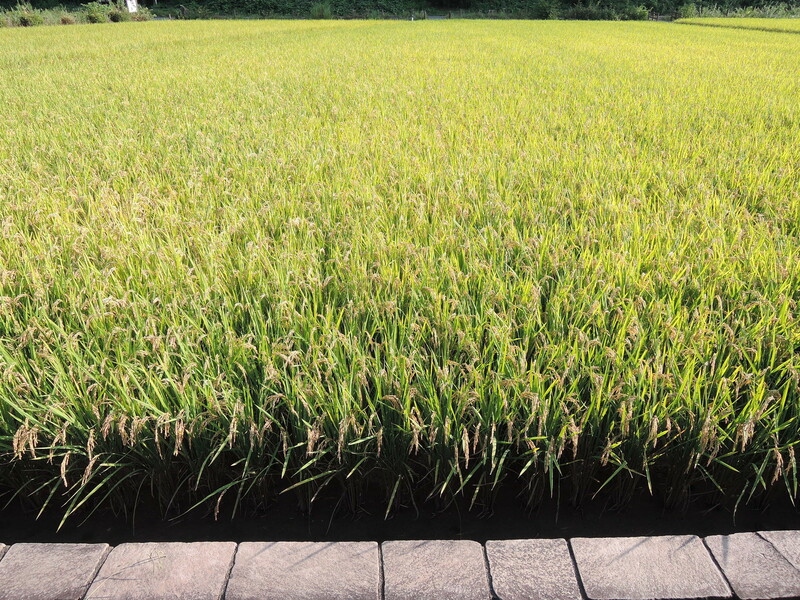 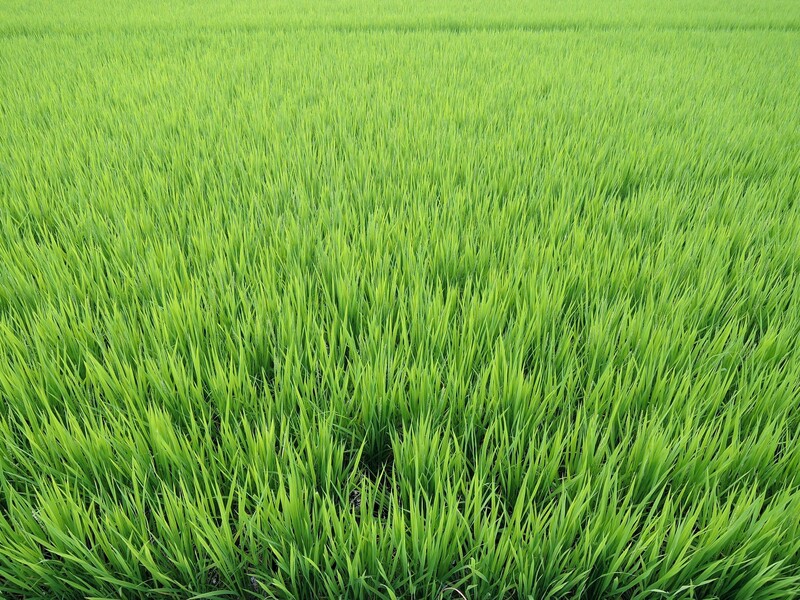 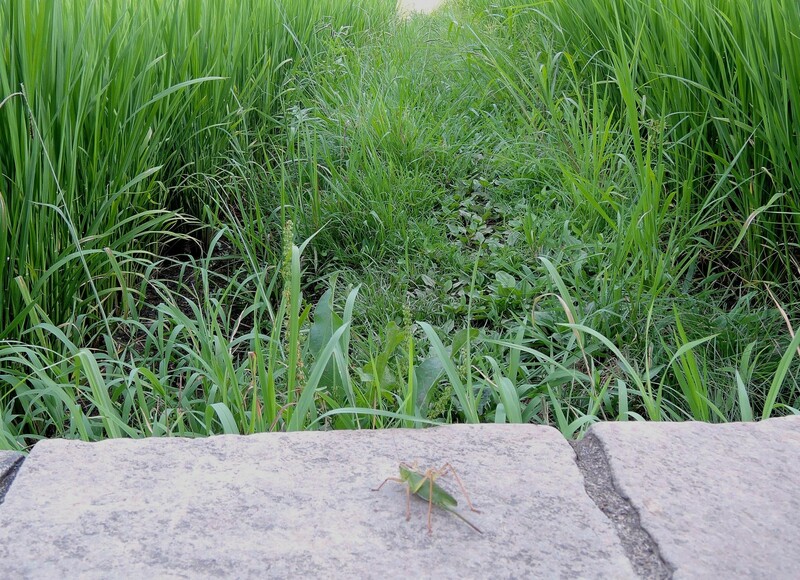 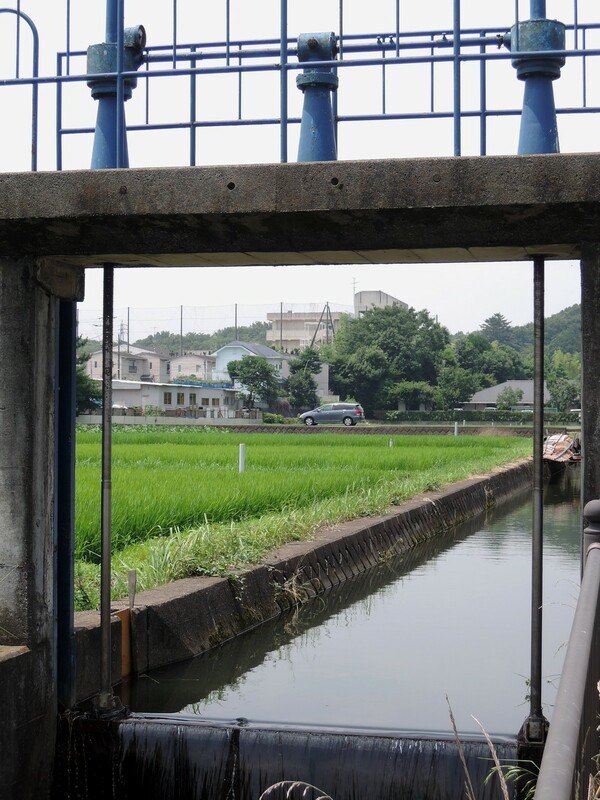 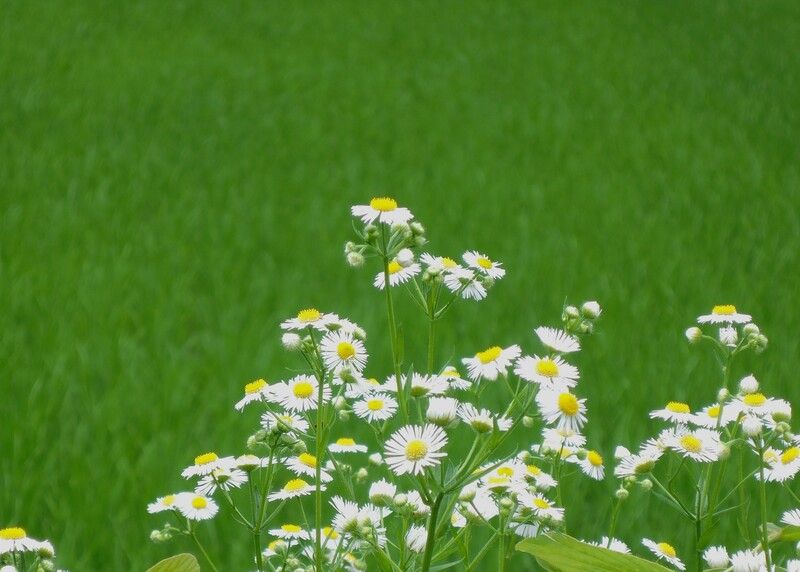 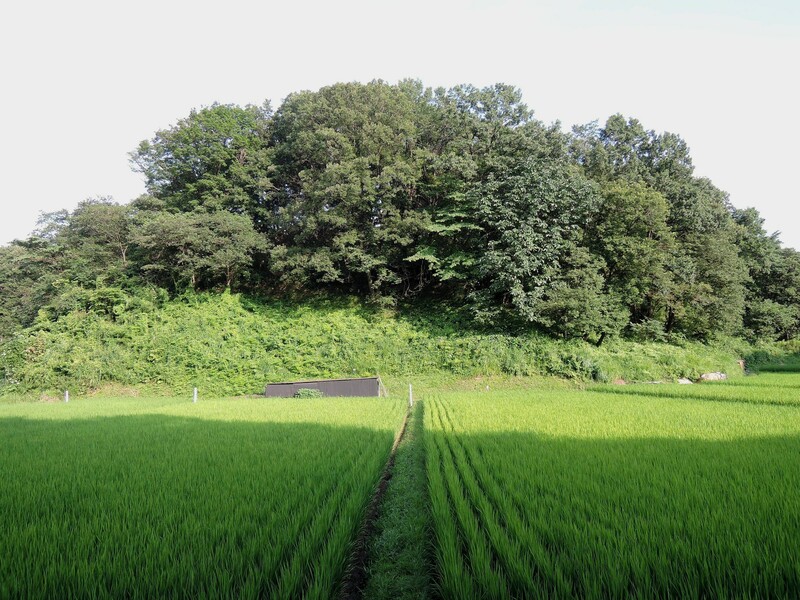 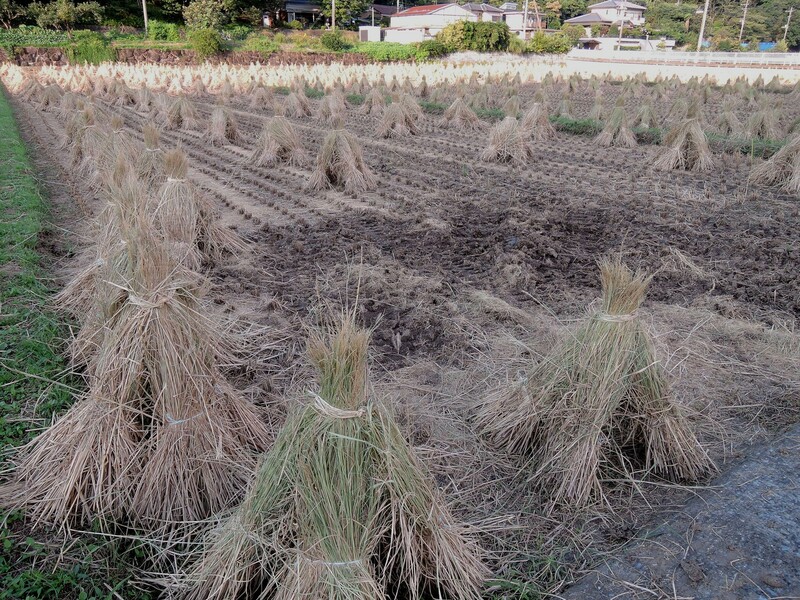 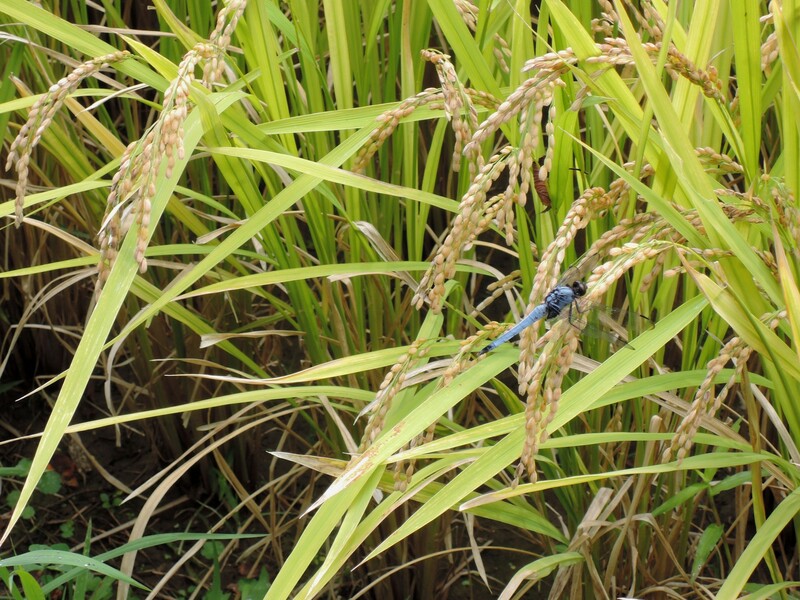 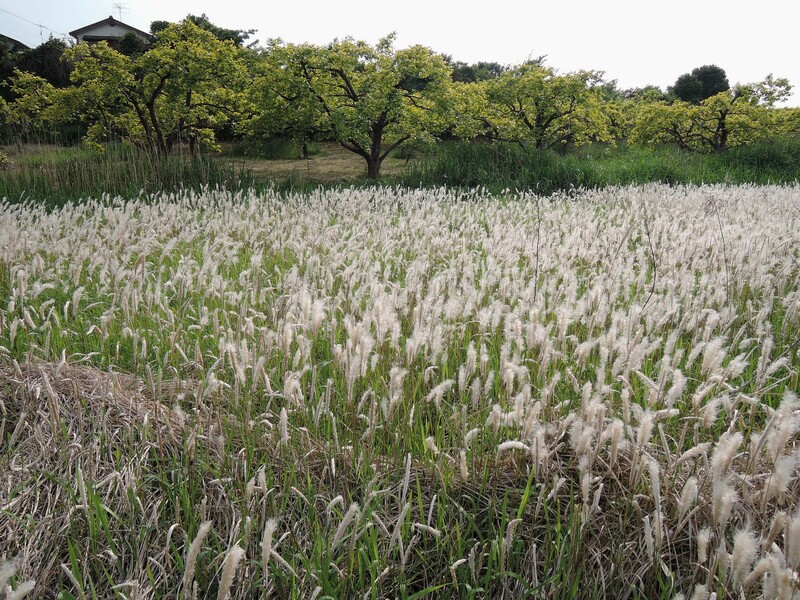 Visiting Jike in the early Autumn afternoon, September 16, 2014, I noticed that the rice harvest had already begun. 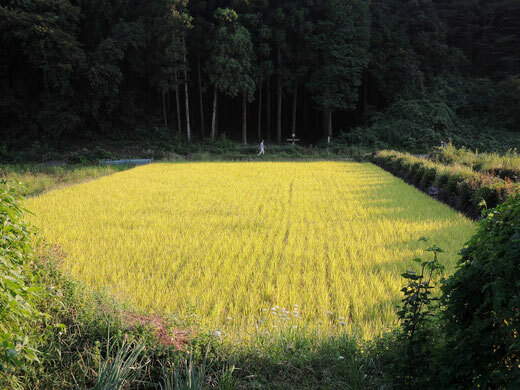 Jike was filled with the noisy "chorus" of cicadas; whereas the air abounded in the scent of slighltly burnt yellow-golden ears of rice. 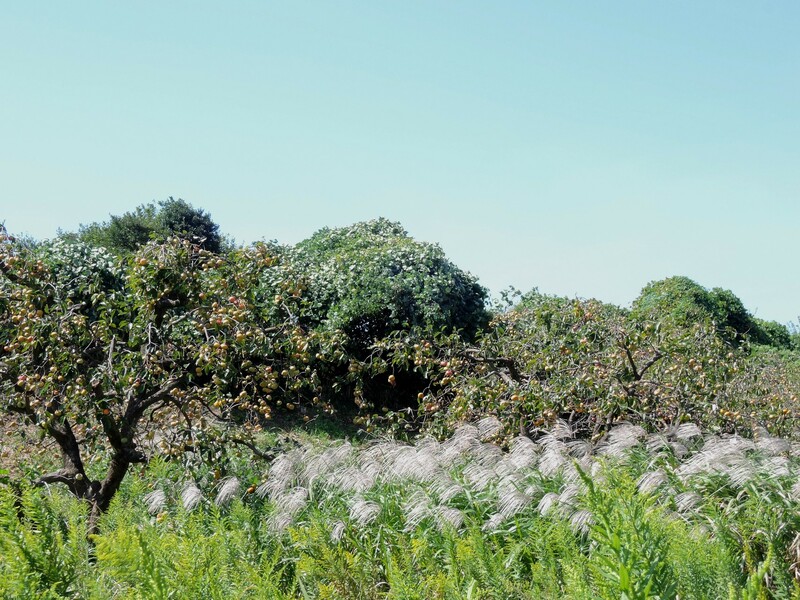 The Jike countryside, northern Yokohama, on a typical hot and humid afternoon, August 1, 2014. 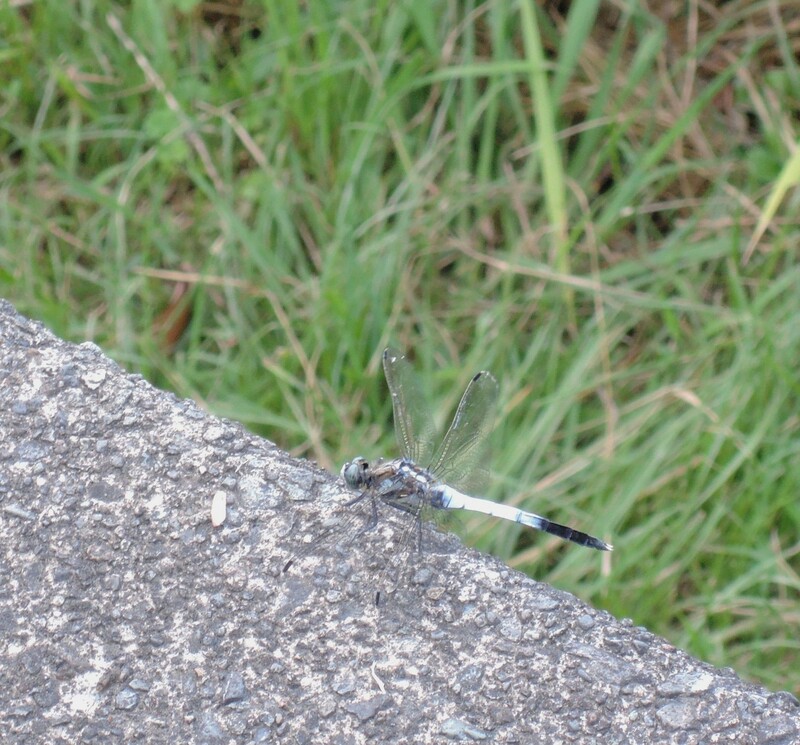 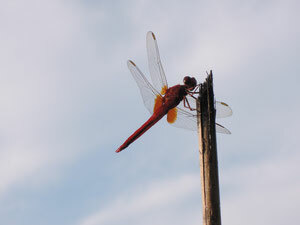 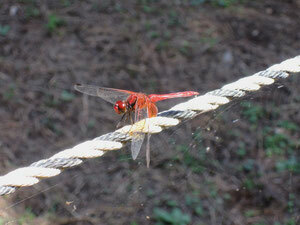 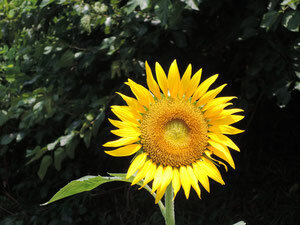 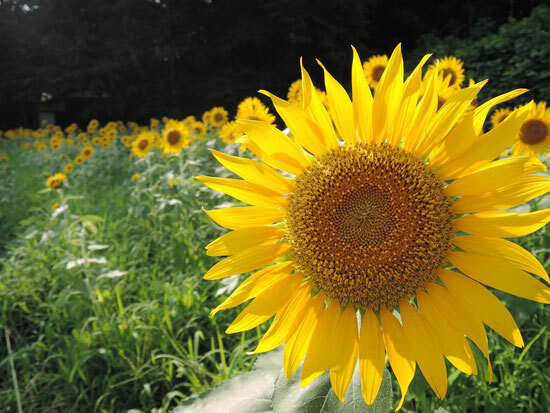 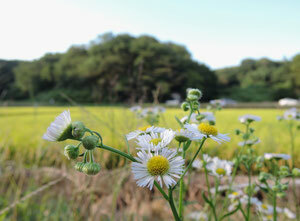 Sunflowers were both beautiful and powerful; while rice fields abounded in insects such as crickets and dragon flies. 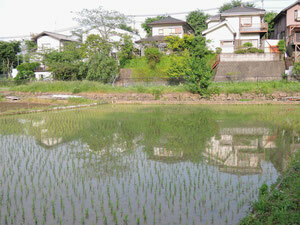 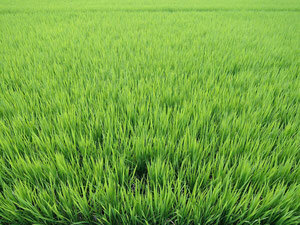 A gentle breeze was making ripples in the rice fields. 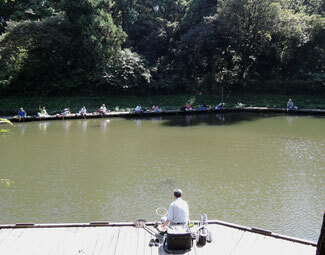 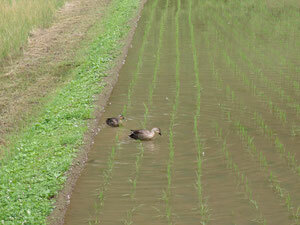 Pairs of wild geese were spotted here and there. 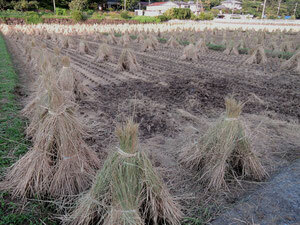 To me, they seemed to be "fatter". 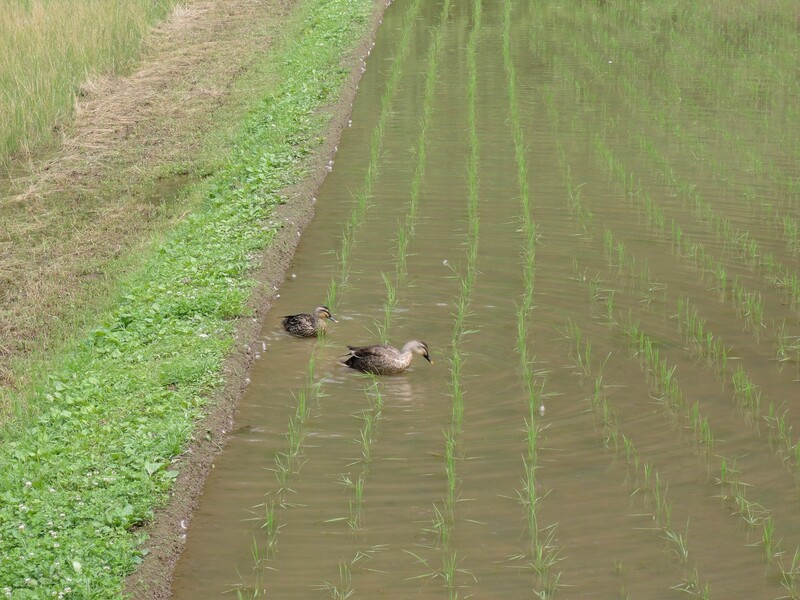 There were wild ducks in pairs here and there on a cloudy afternoon, June 10, 2014 in the Jike countryside. 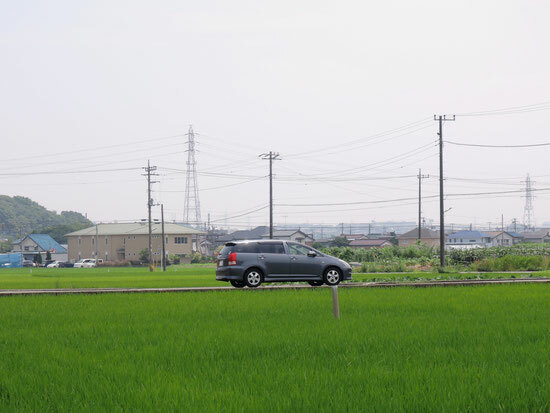 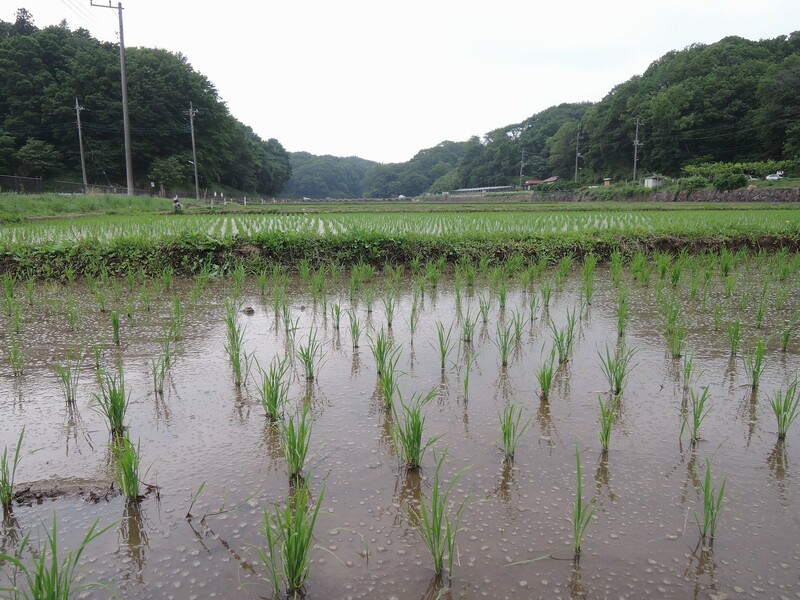 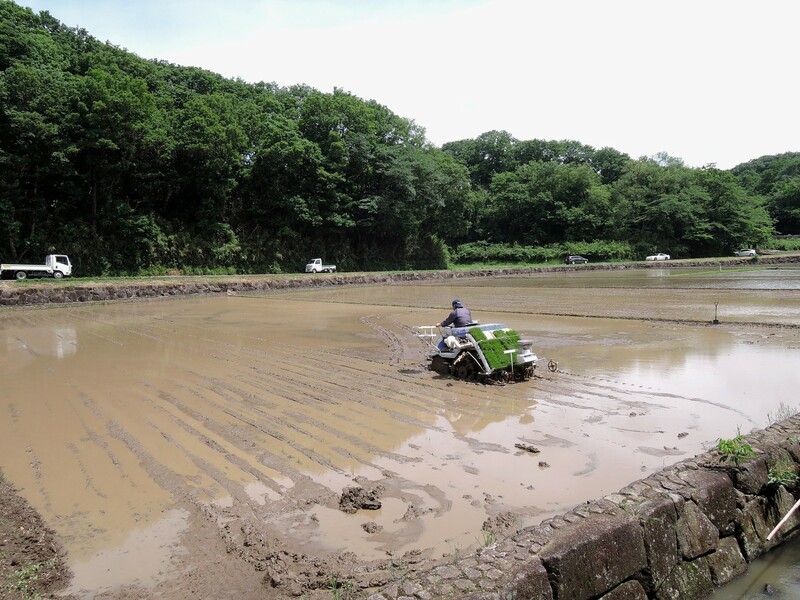 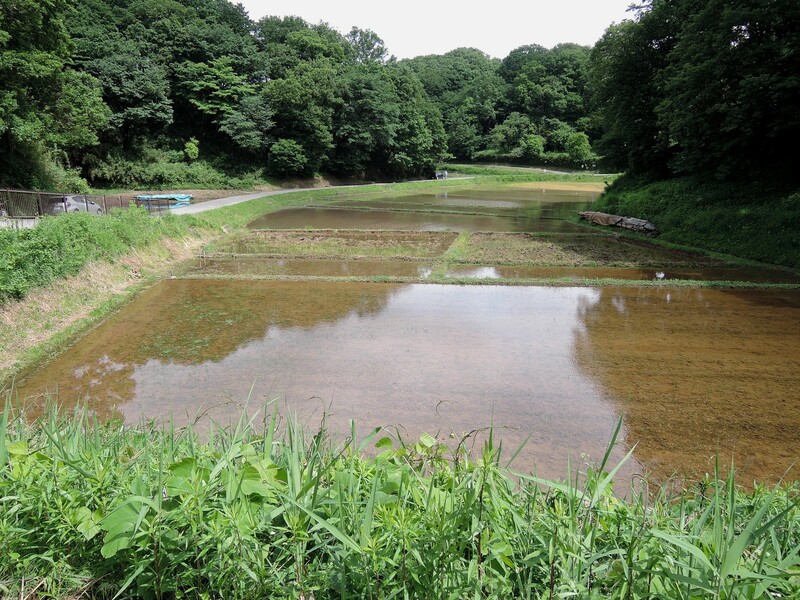 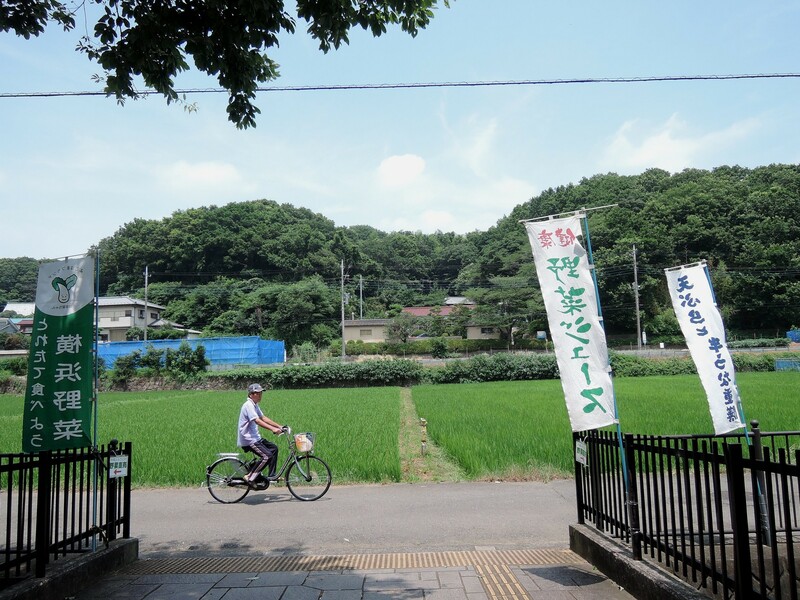 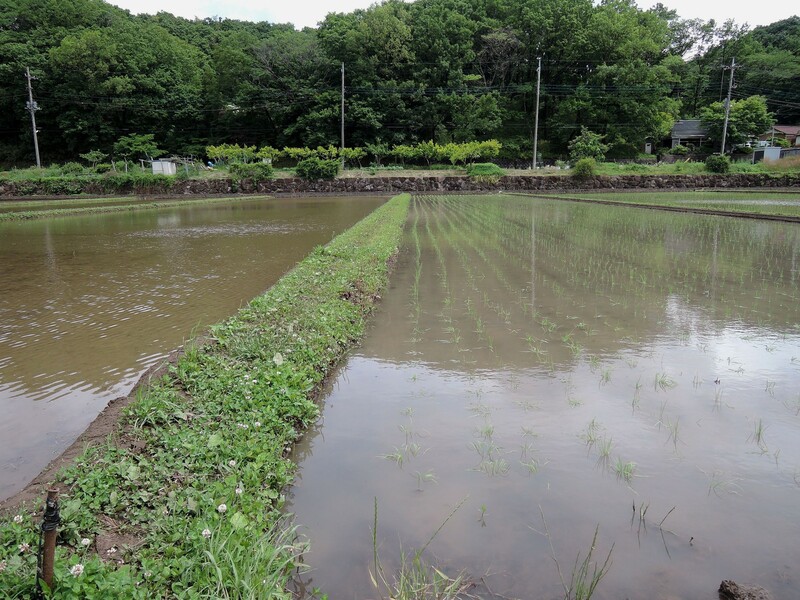 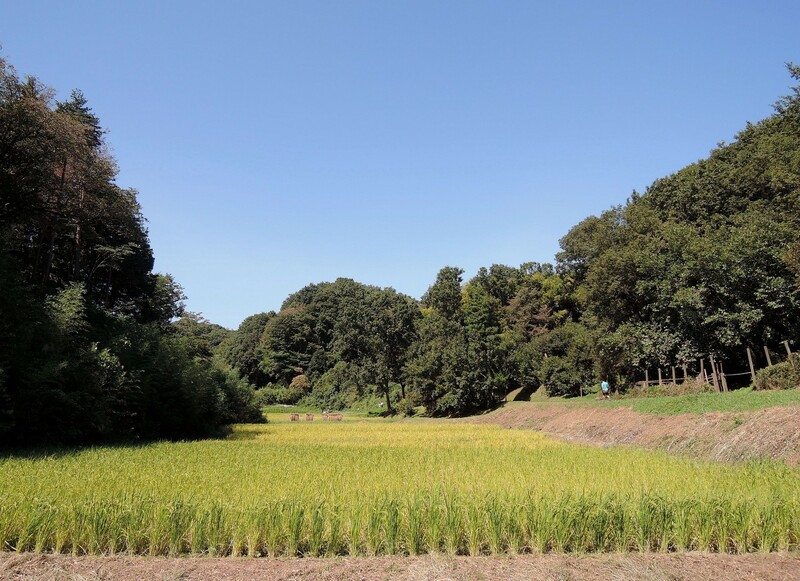 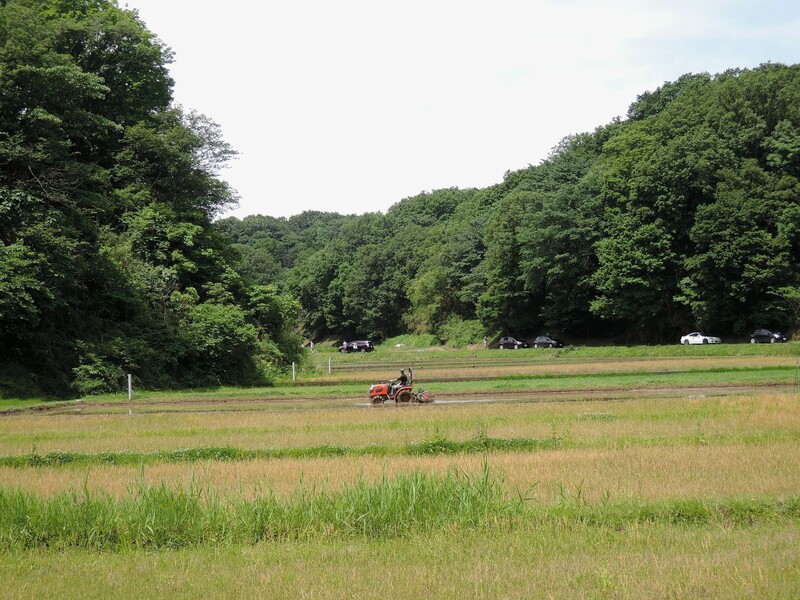 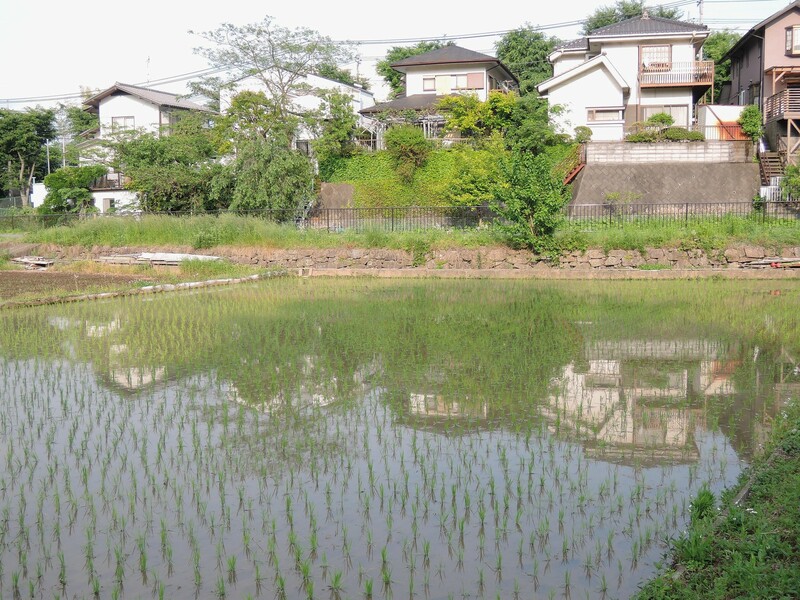 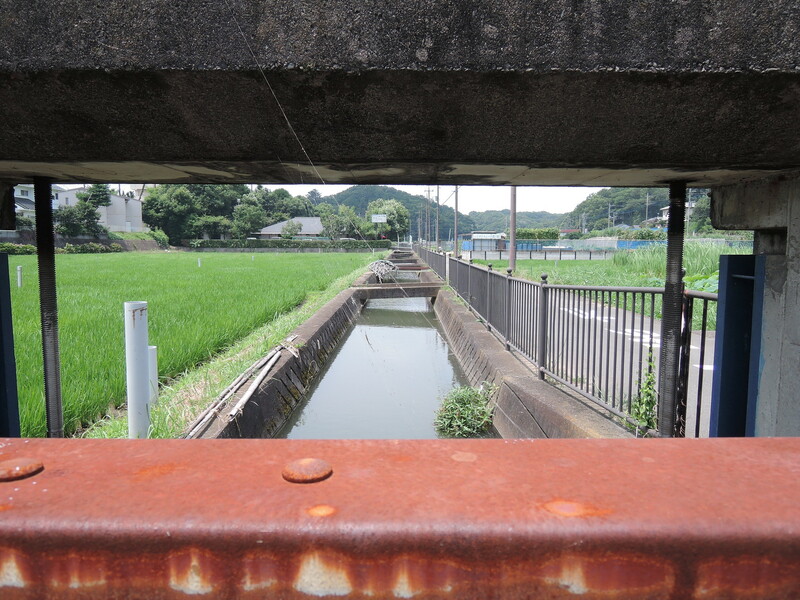 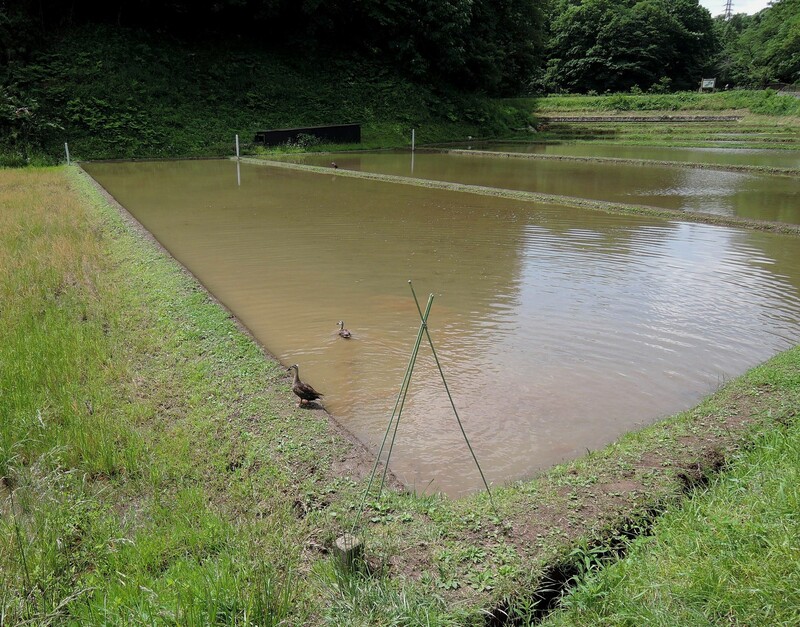 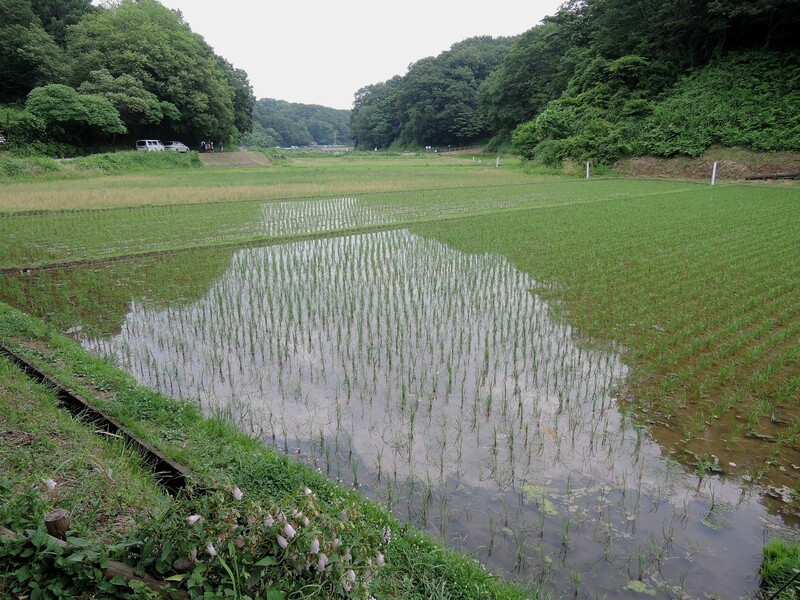 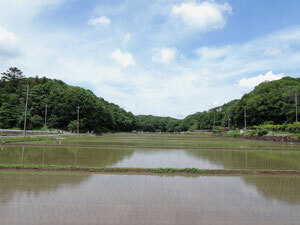 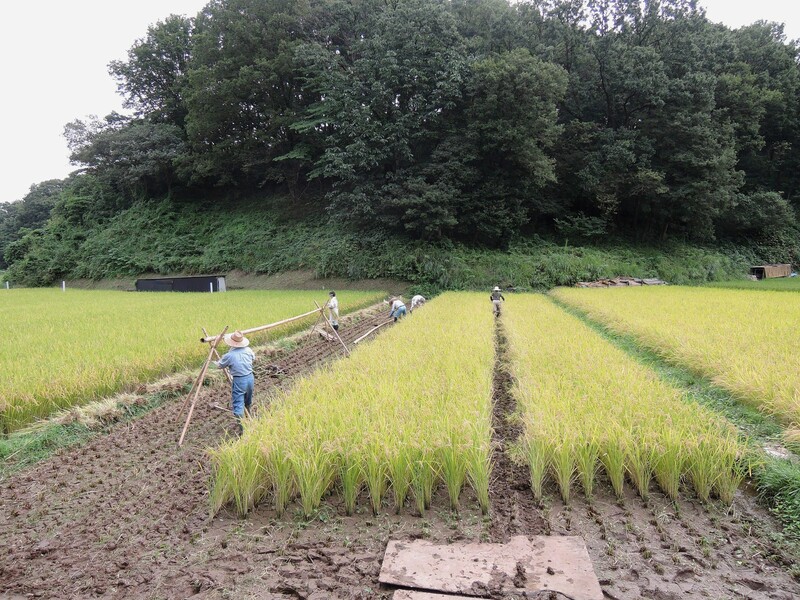 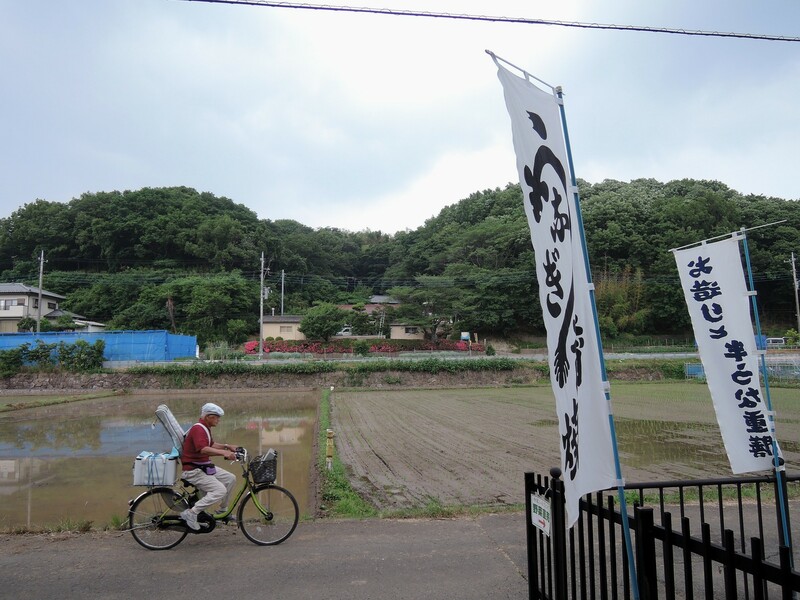 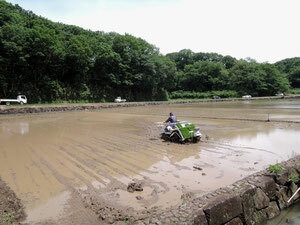 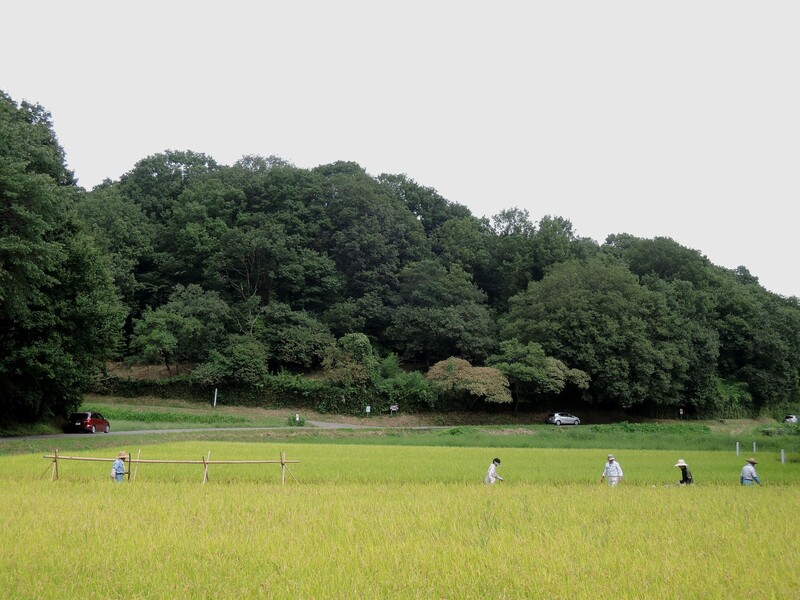 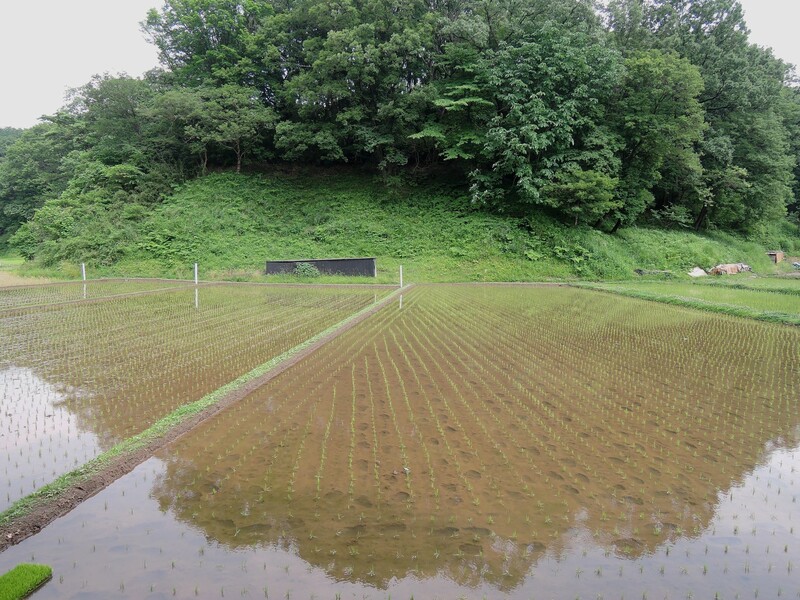 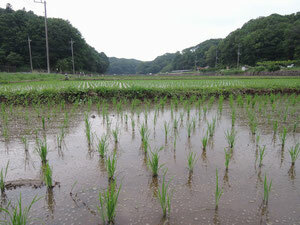 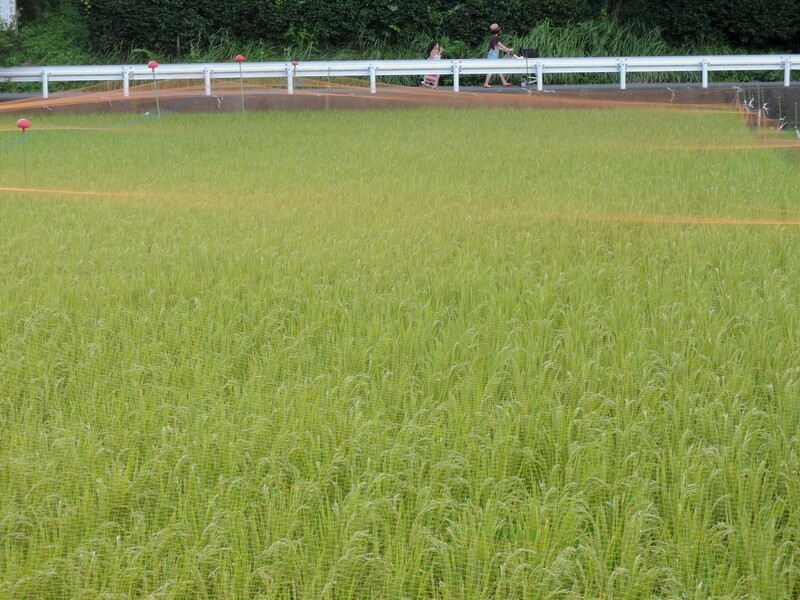 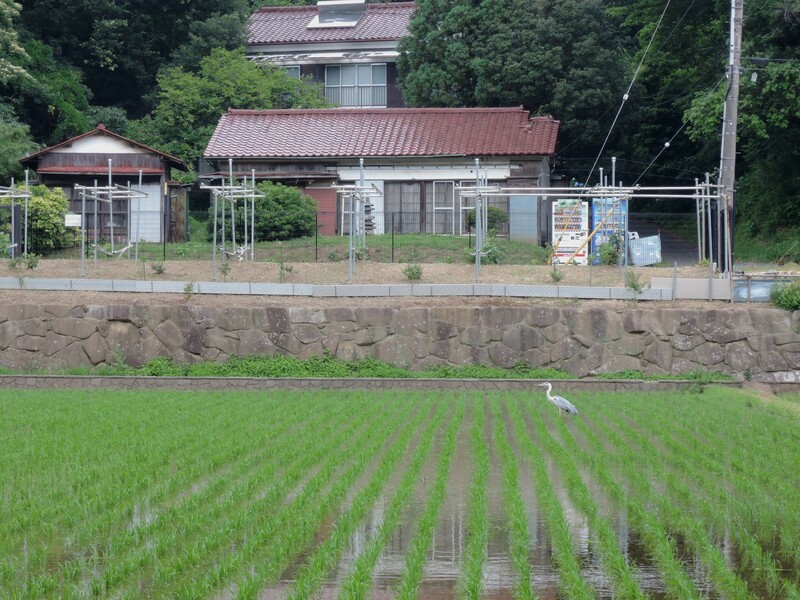 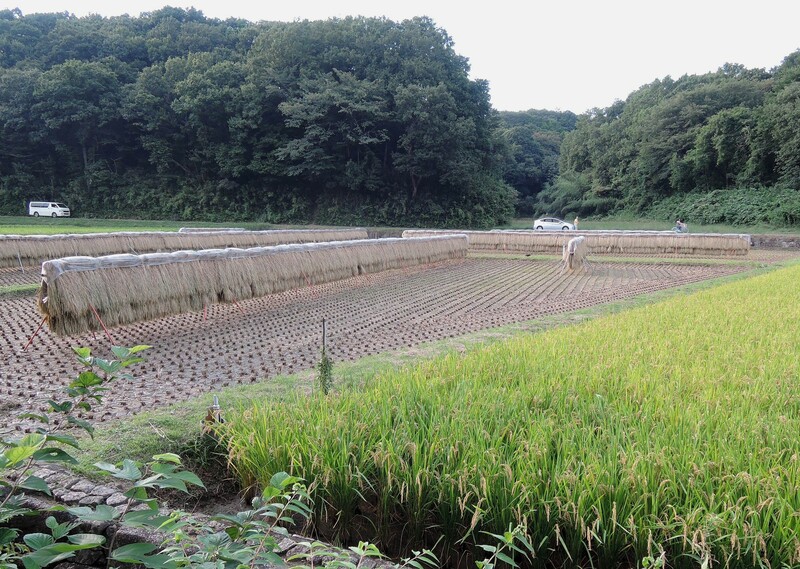 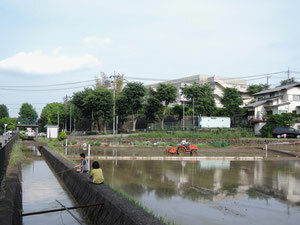 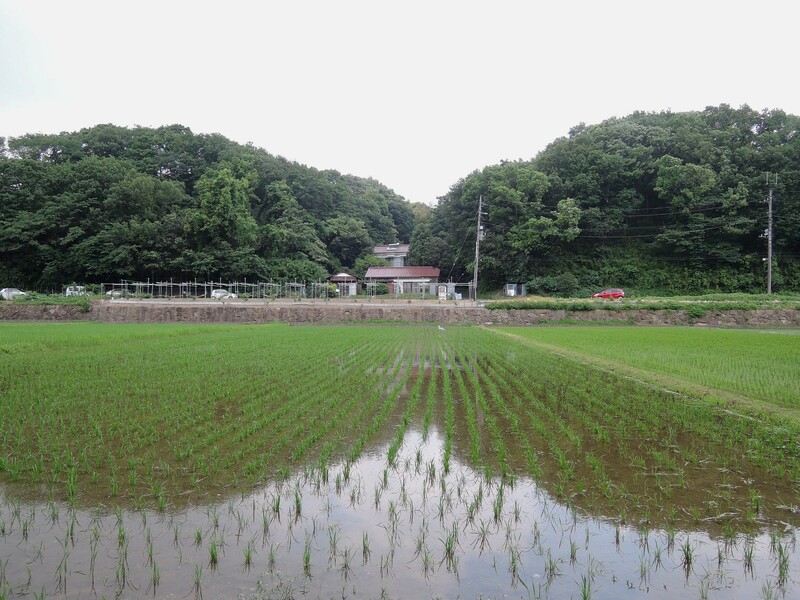 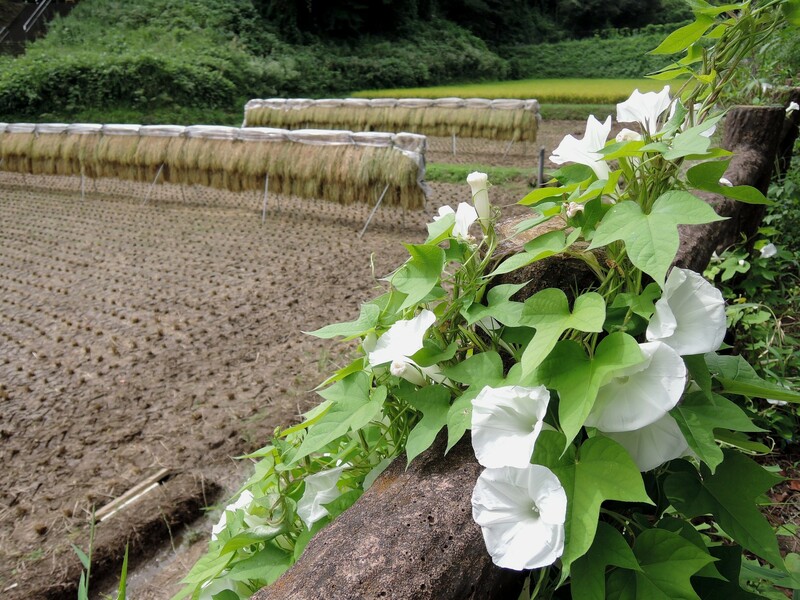 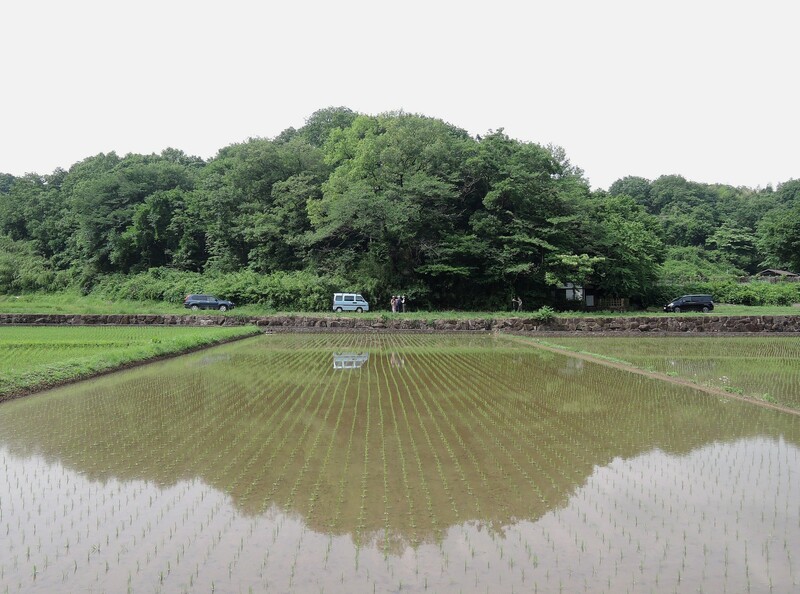 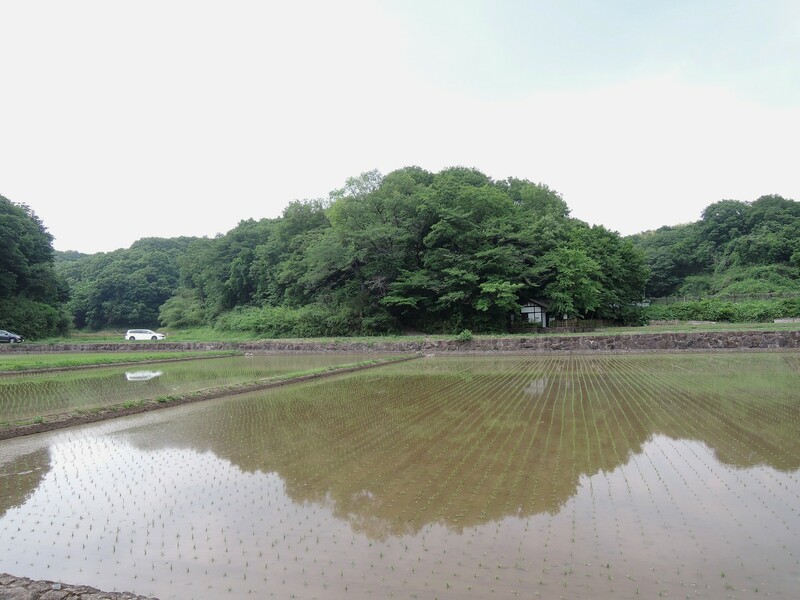 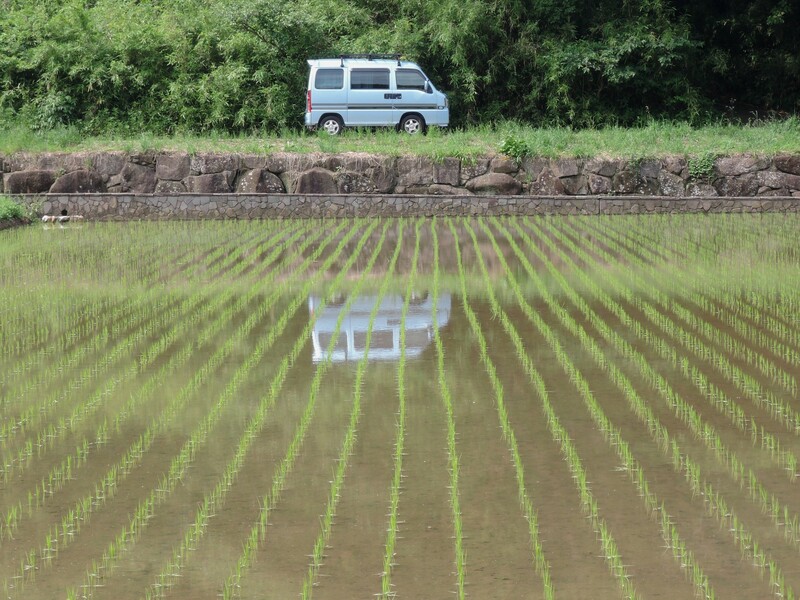 Just after rice planting in the Jike countryside, northern Yokohama on June 4, 2014. 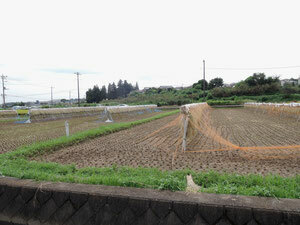 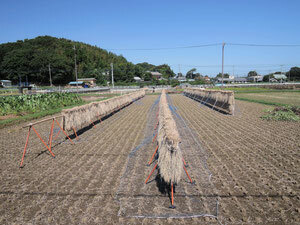 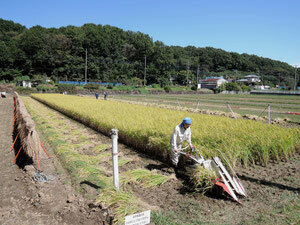 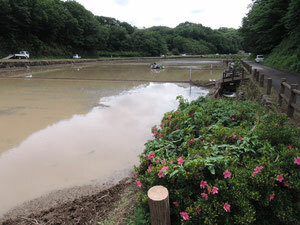 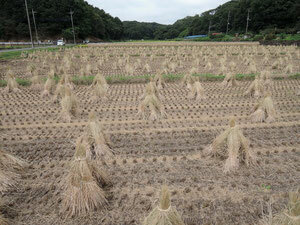 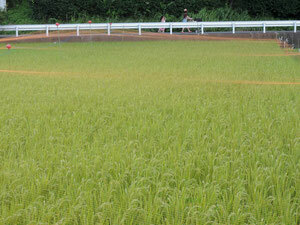 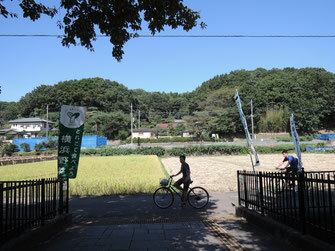 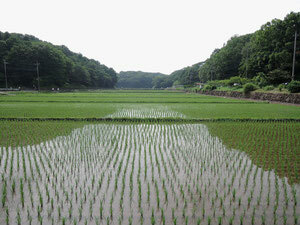 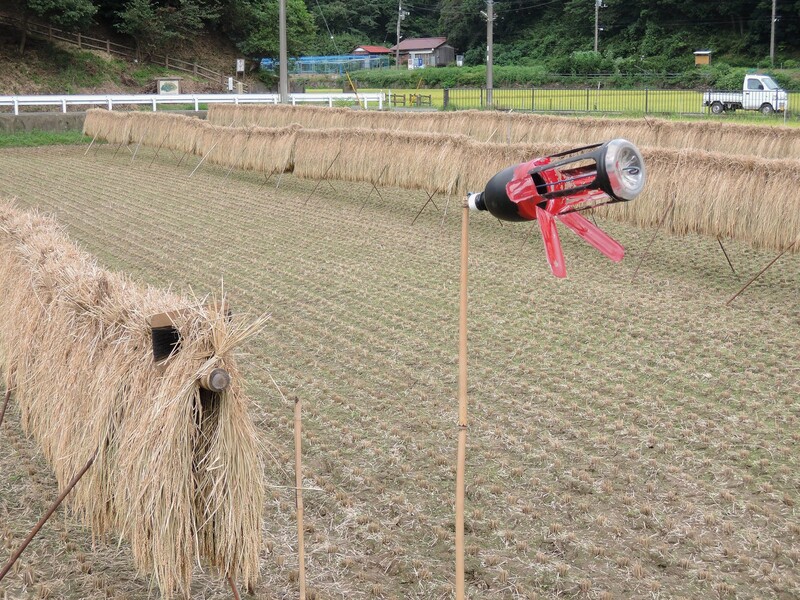 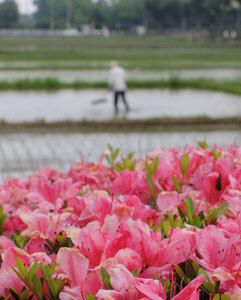 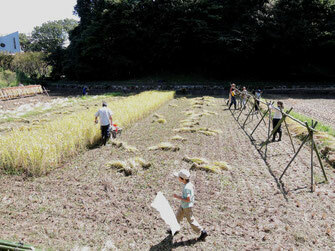 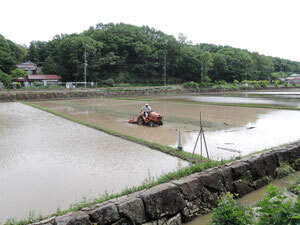 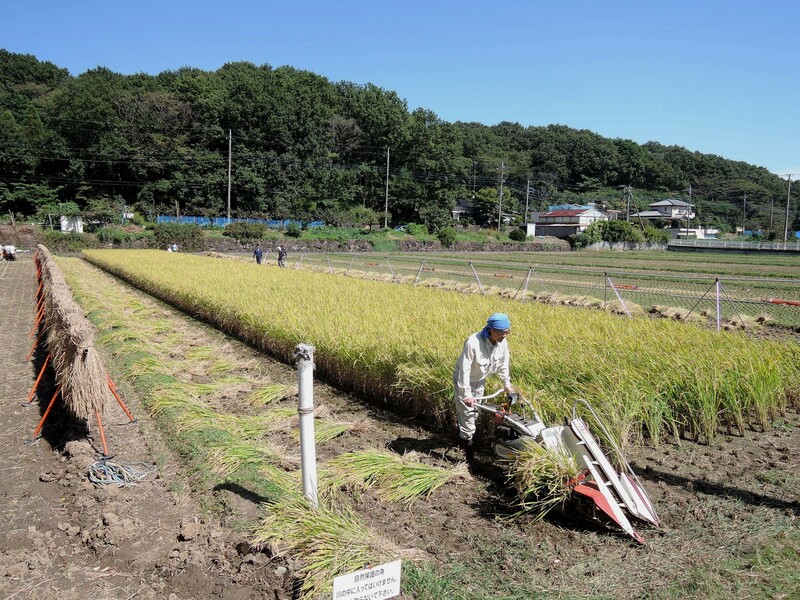 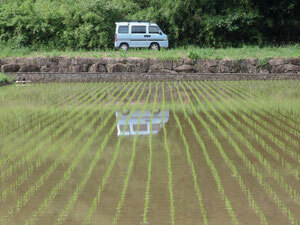 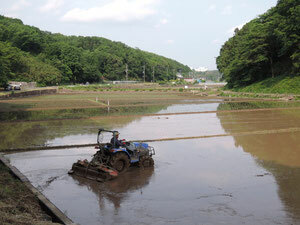 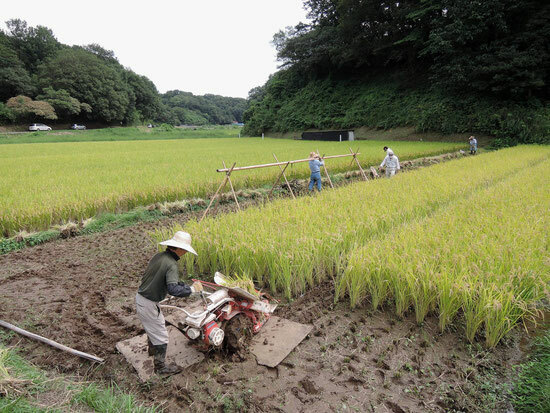 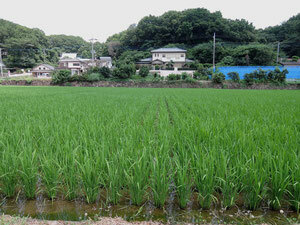 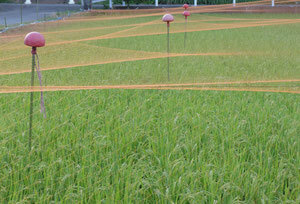 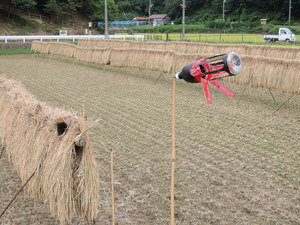 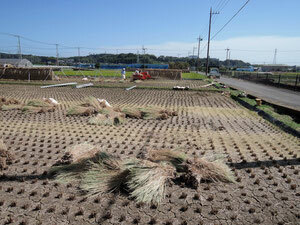 Scenes of rice planting preparation in the Jike countryside, northern Yokohama on Tuesday morning, May 27, 2014. 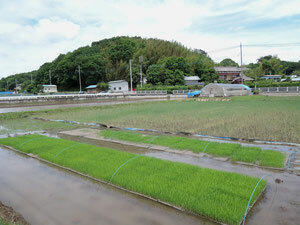 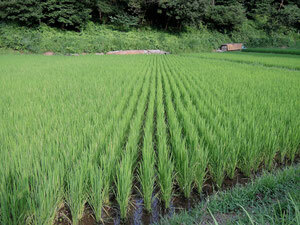 I noticed that rice planting had only started in a couple of fields. 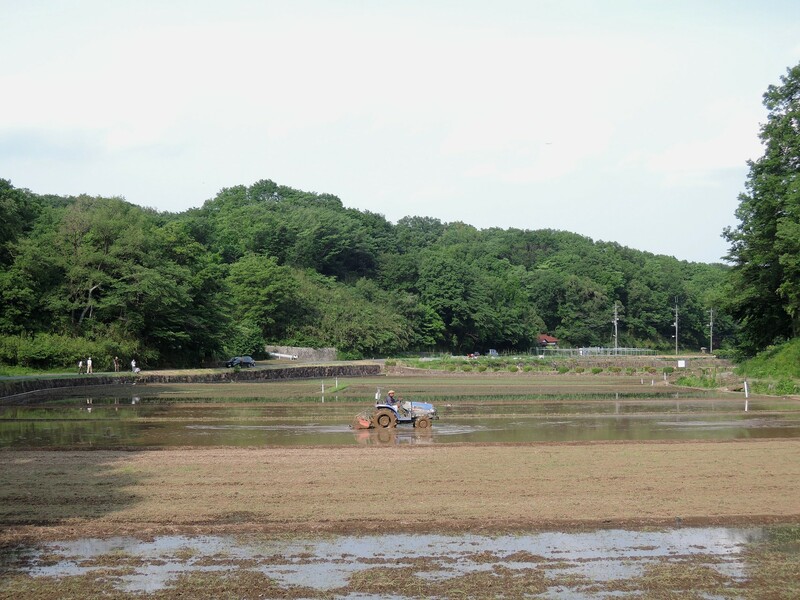 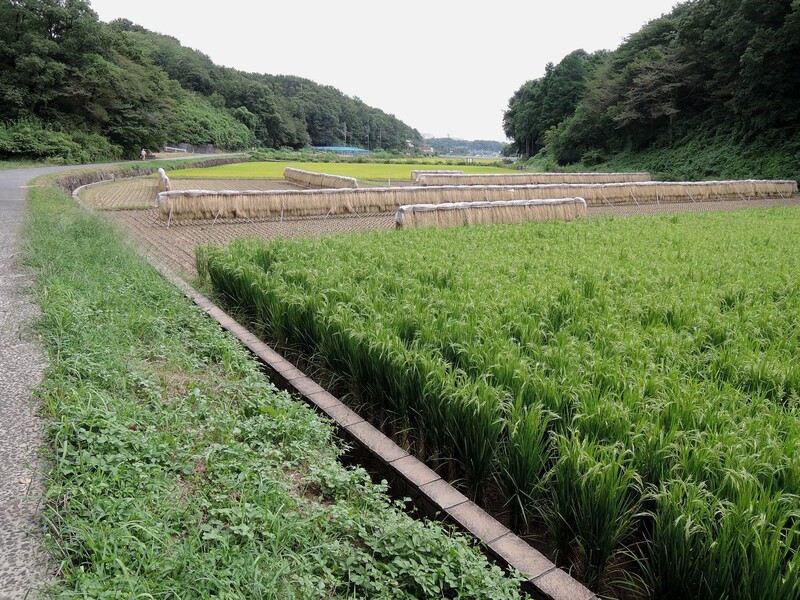 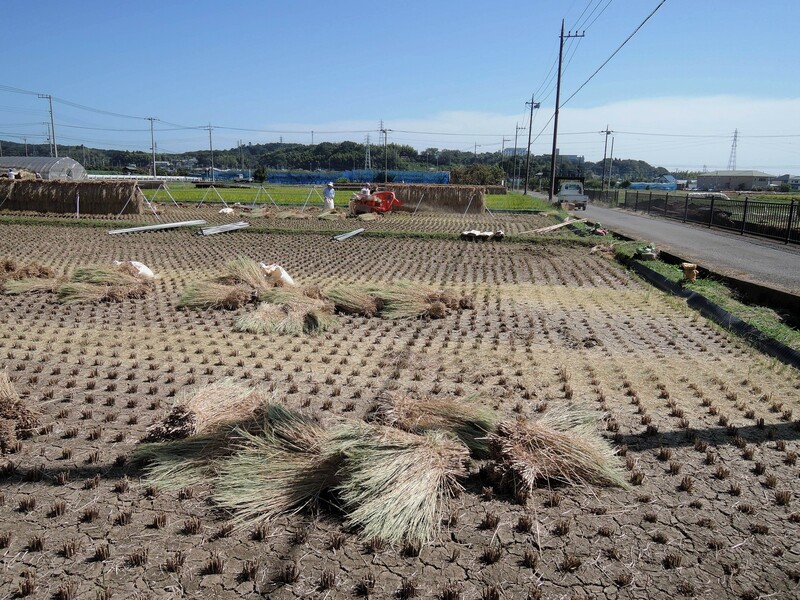 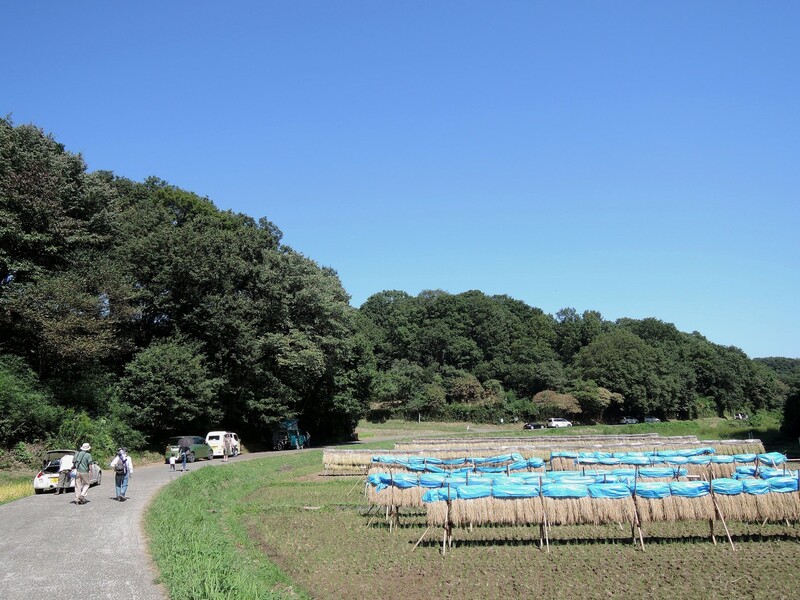 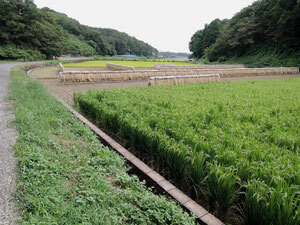 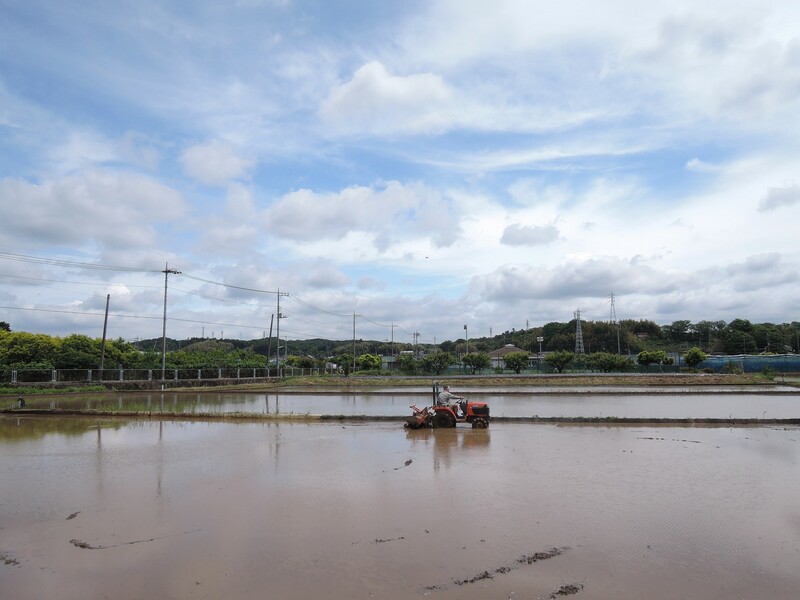 The preparation for rice planting was in full swing, when I visited the Jike countryside, northern Yokohama on May 23, 2014. 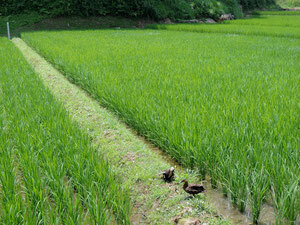 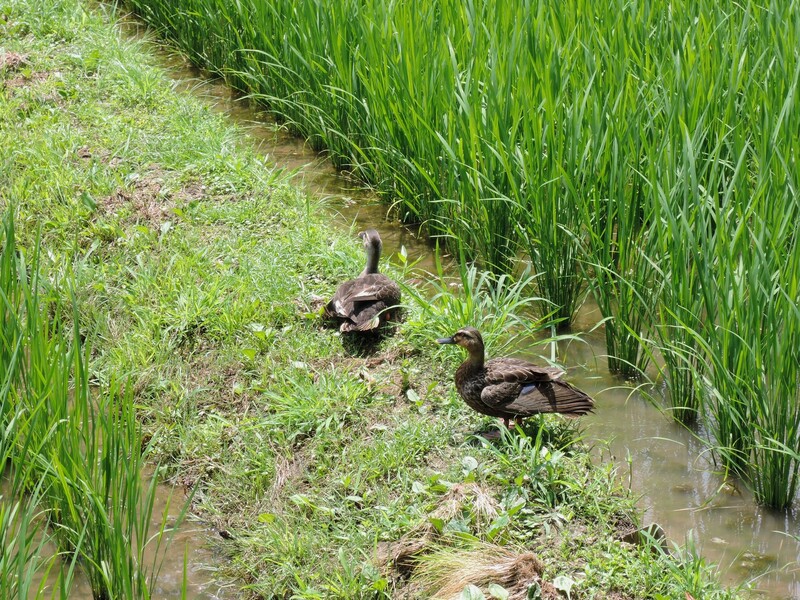 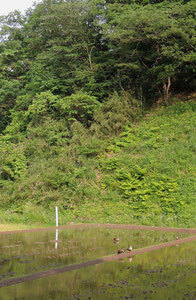 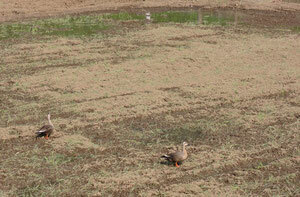 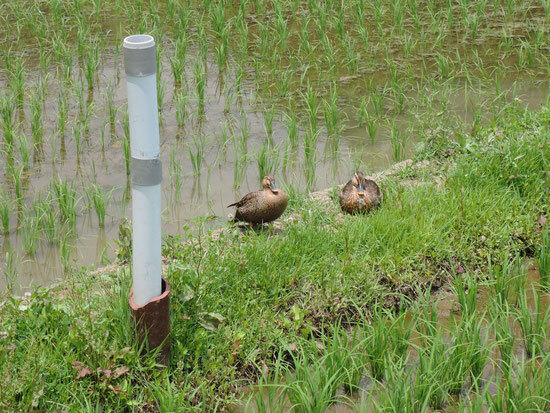 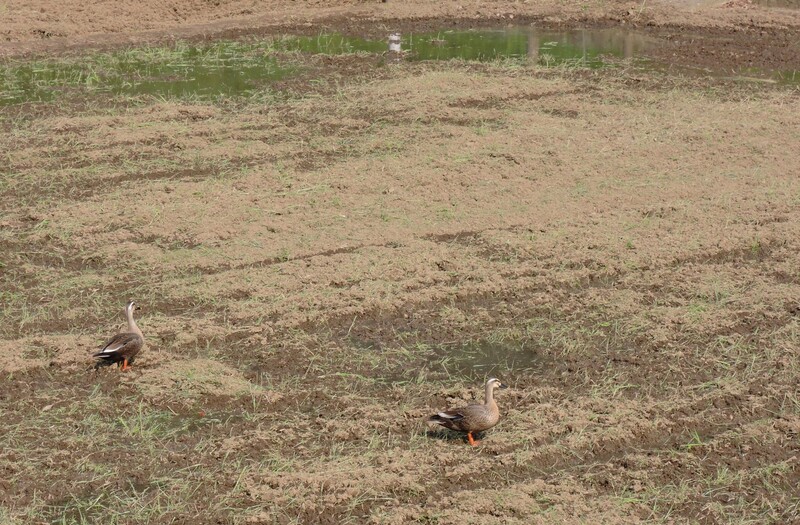 Wild ducks seemed to be also looking forward to the rice planting. 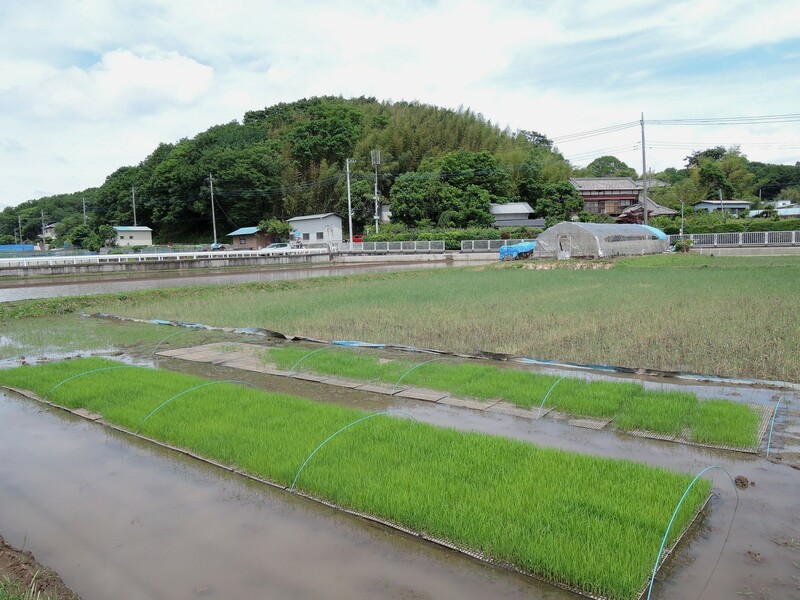 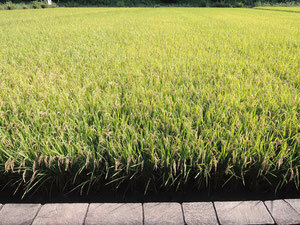 They will perform the important role of eating weeds and pests: thus minimizing the use of chemical fertilizer and agrichemicals for growing rice.